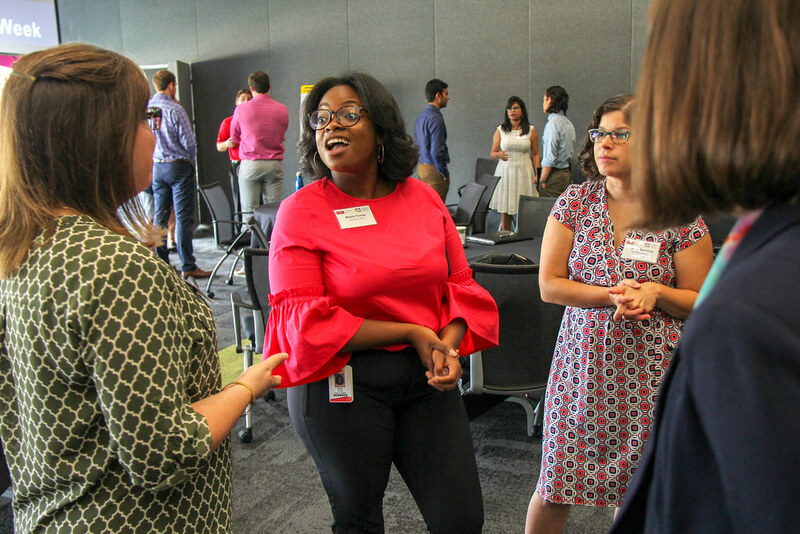 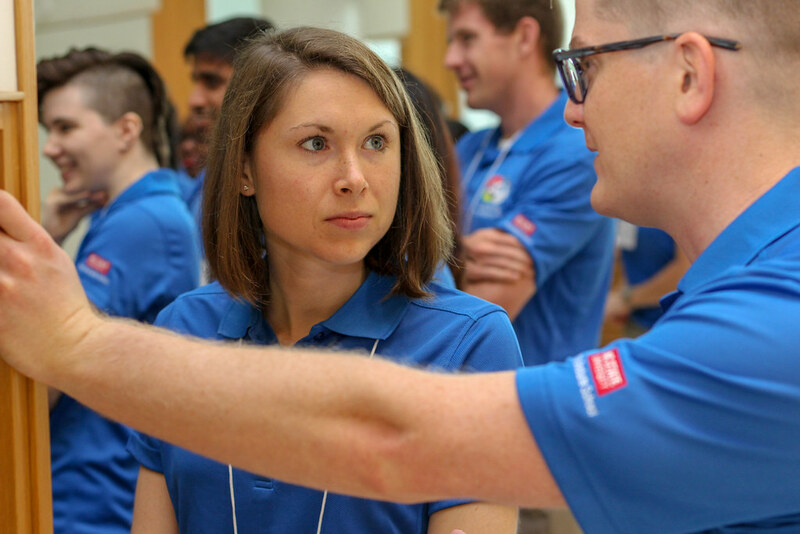 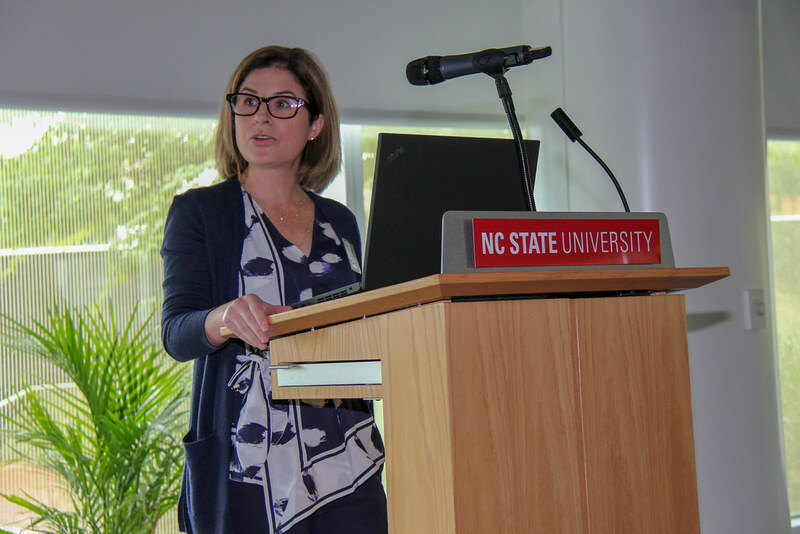 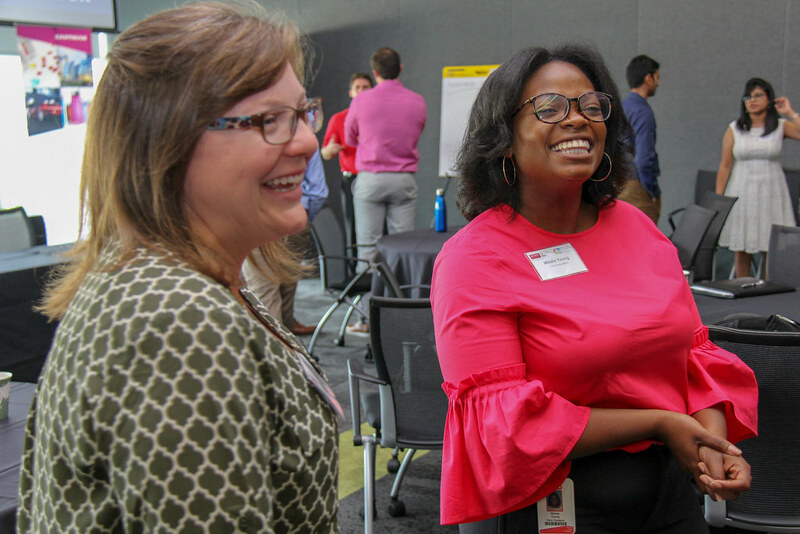 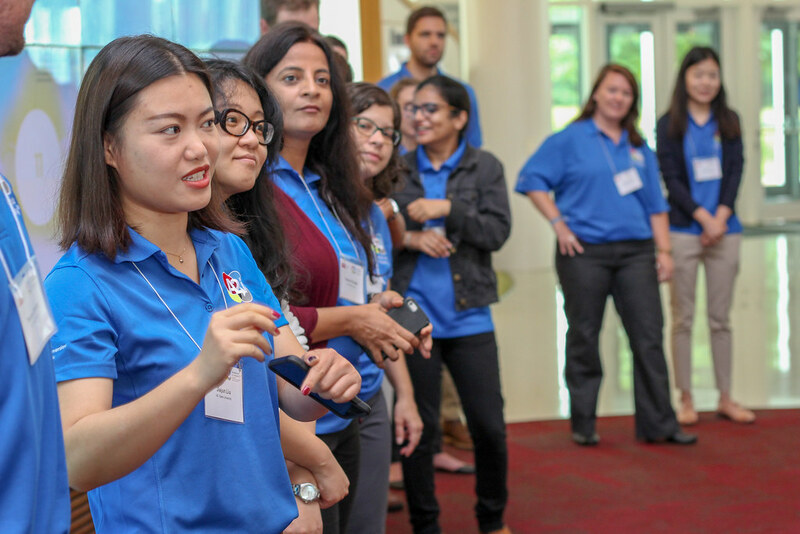 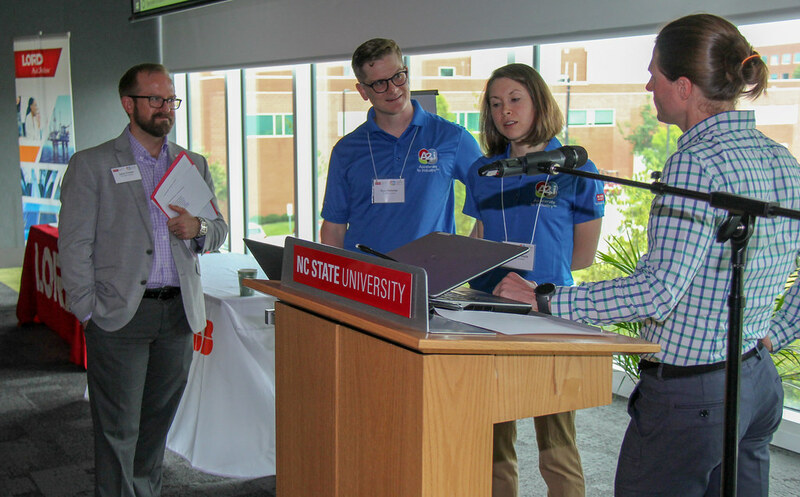 This week, 60 Ph.D. students and postdoctoral scholars from NC State and other institutions will get a taste of what it’s like to work for industry. 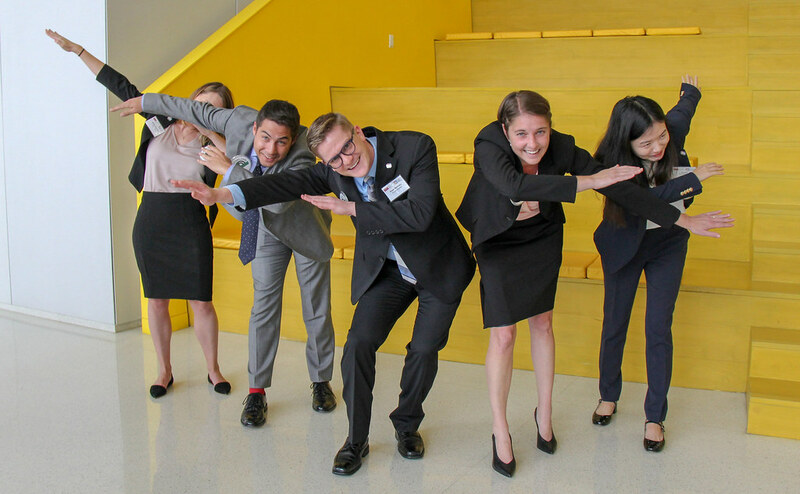 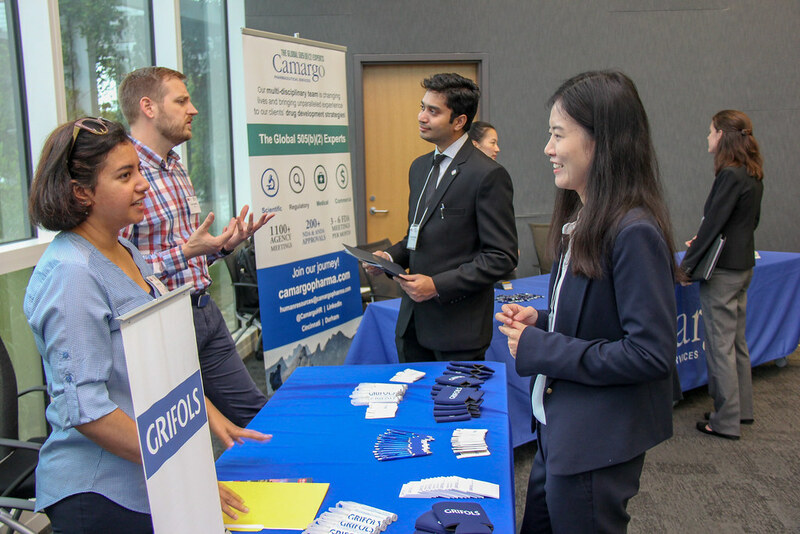 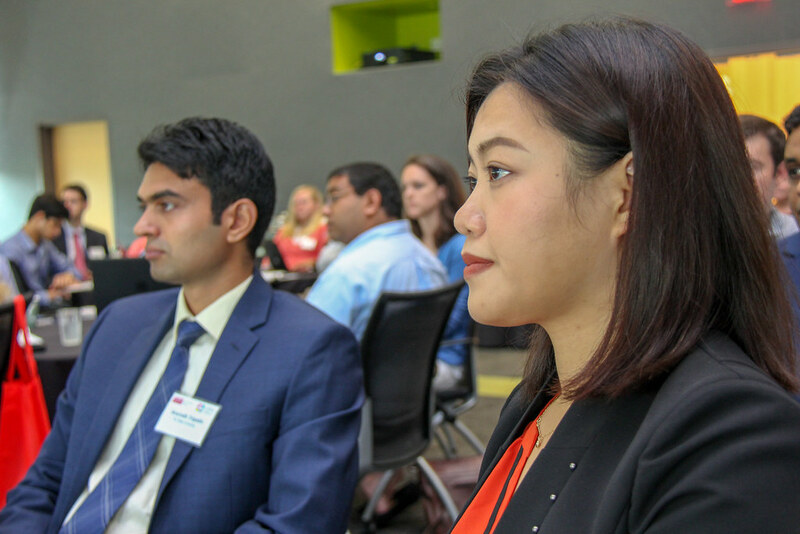 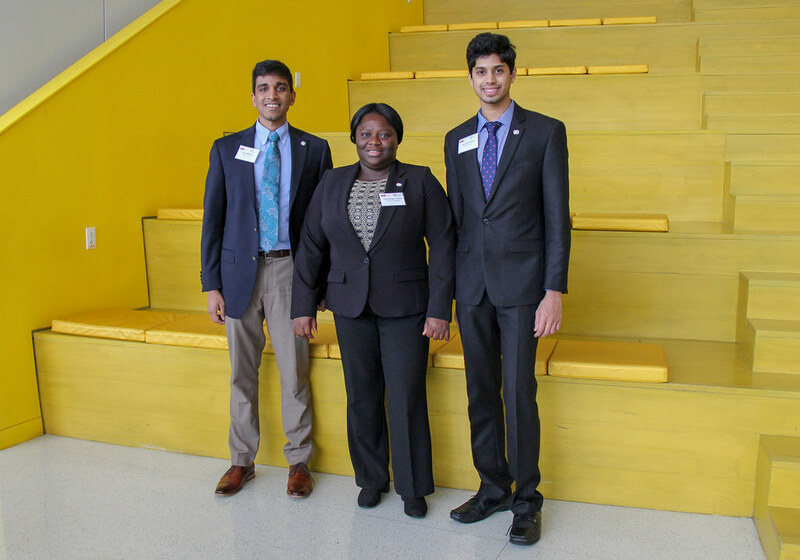 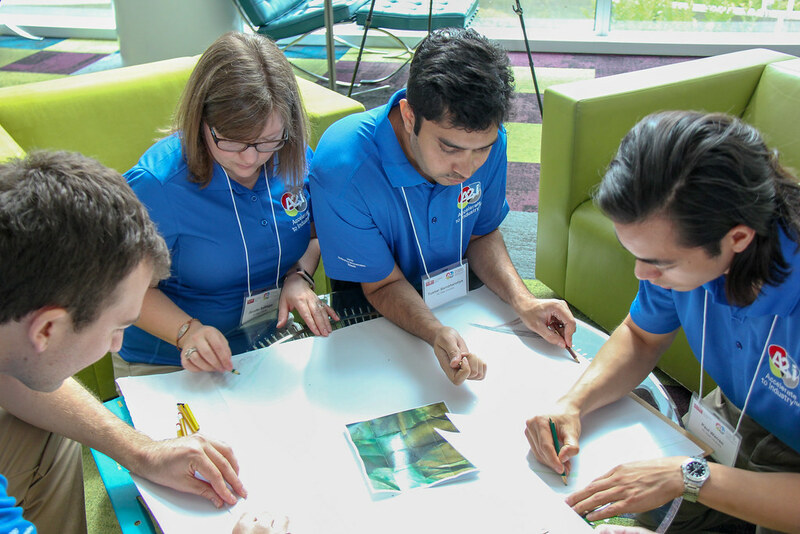 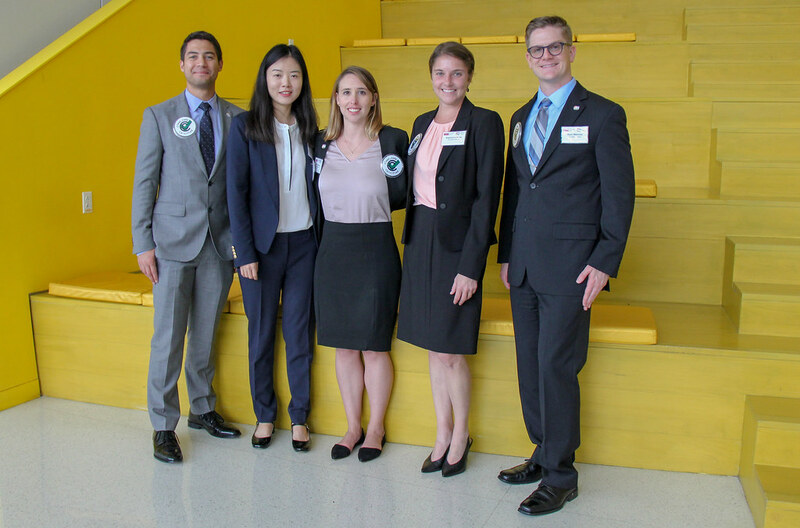 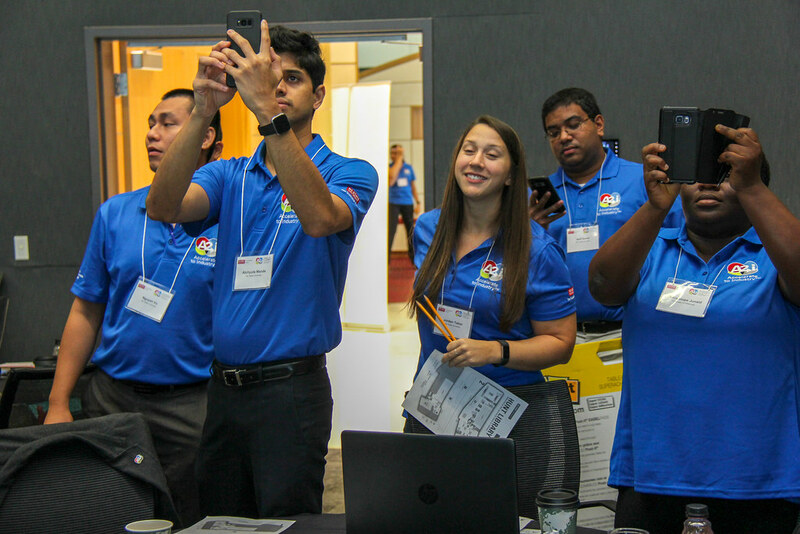 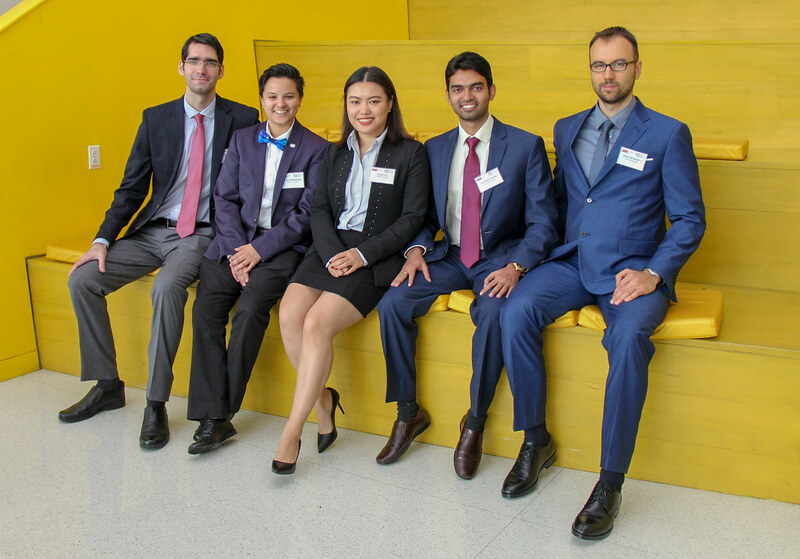 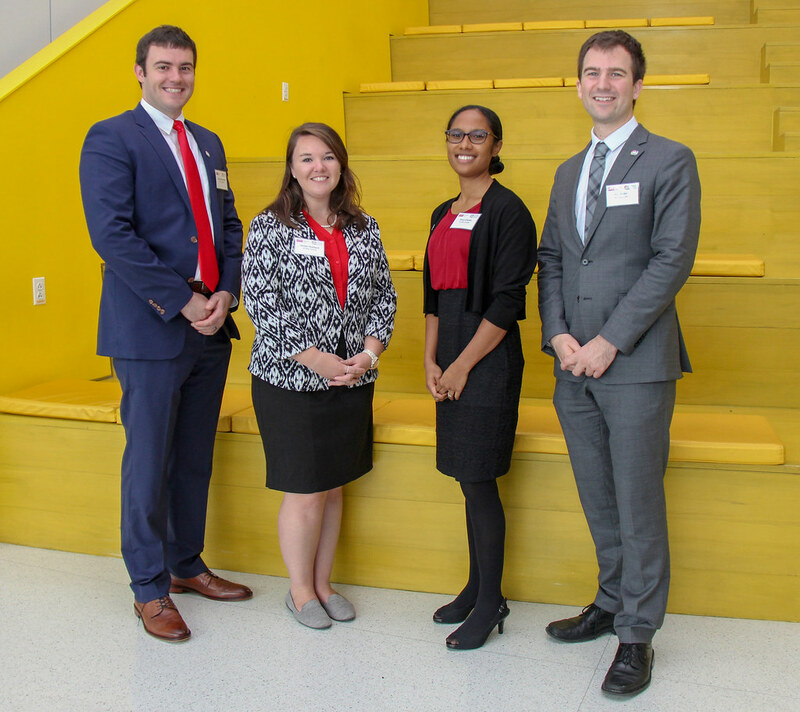 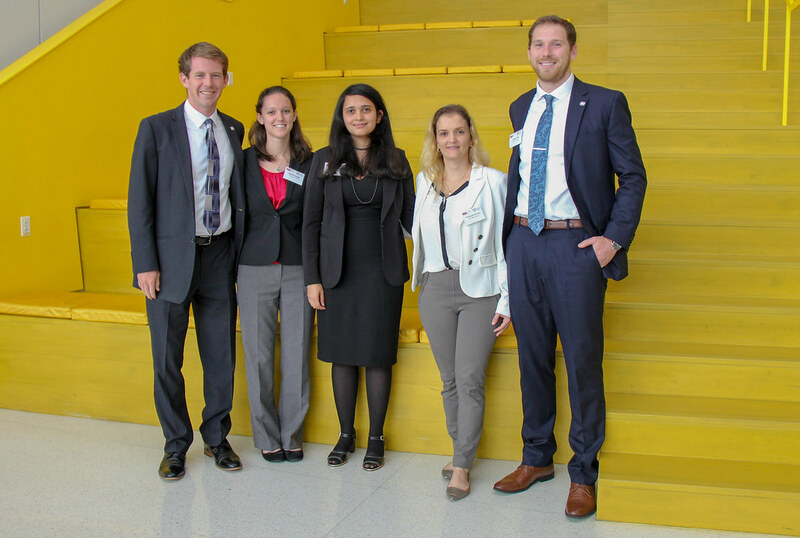 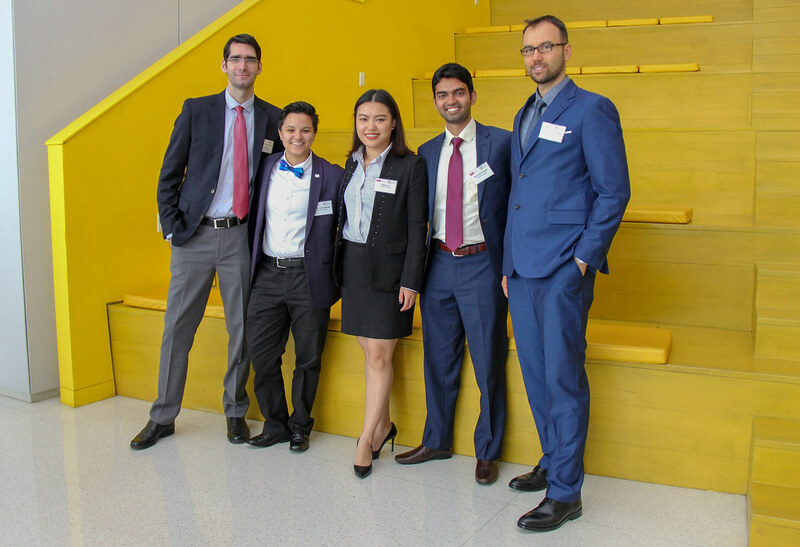 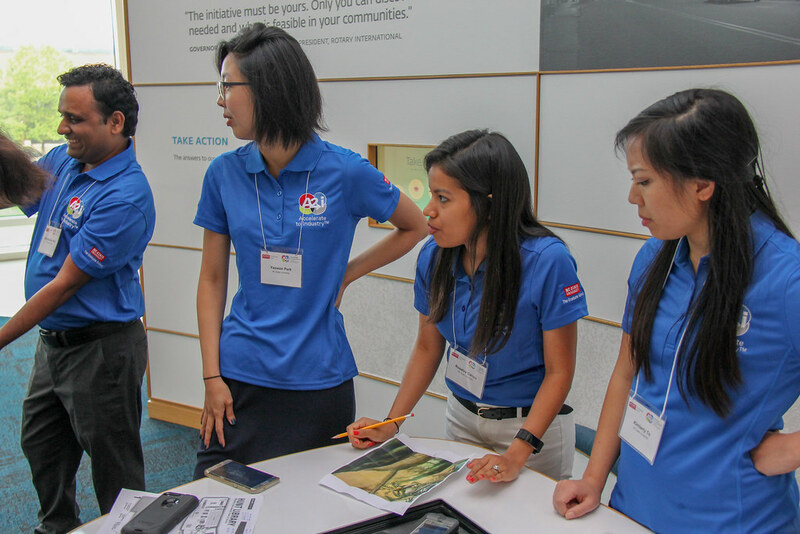 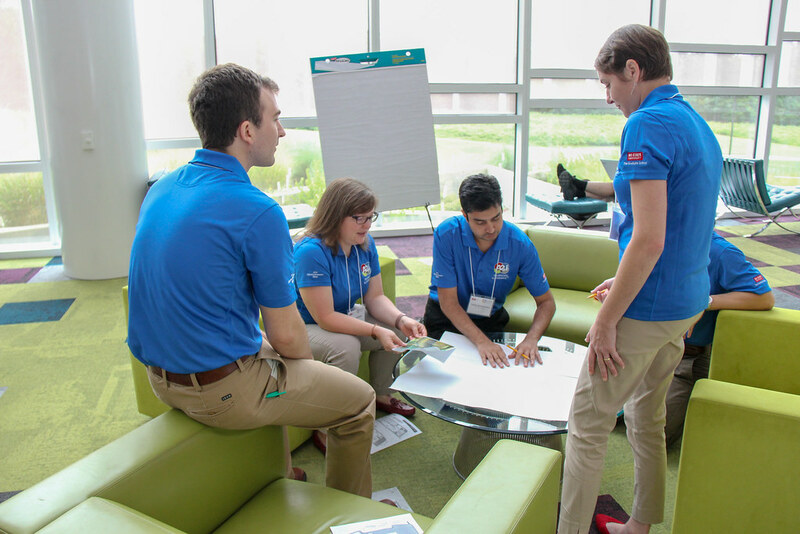 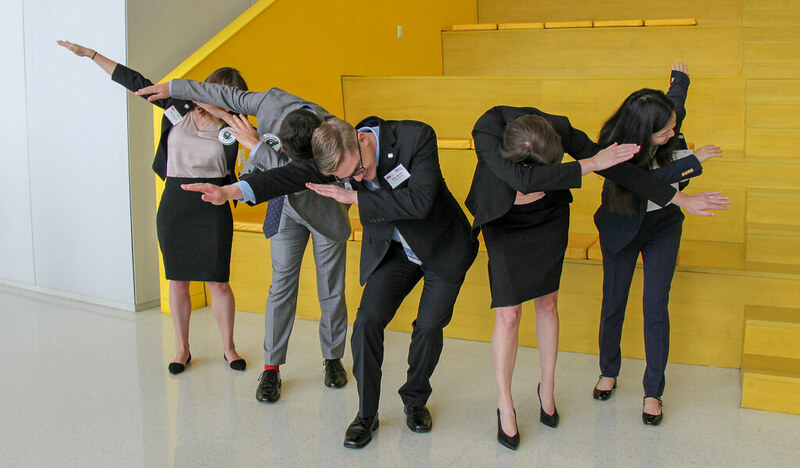 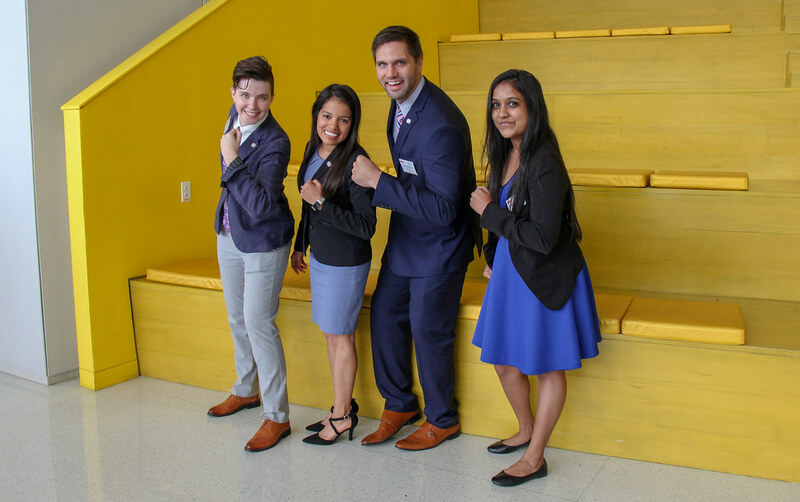 The group is participating in the Graduate School’s second annual Industry Immersion Week as part of the Accelerate to Industry (A2i) program. 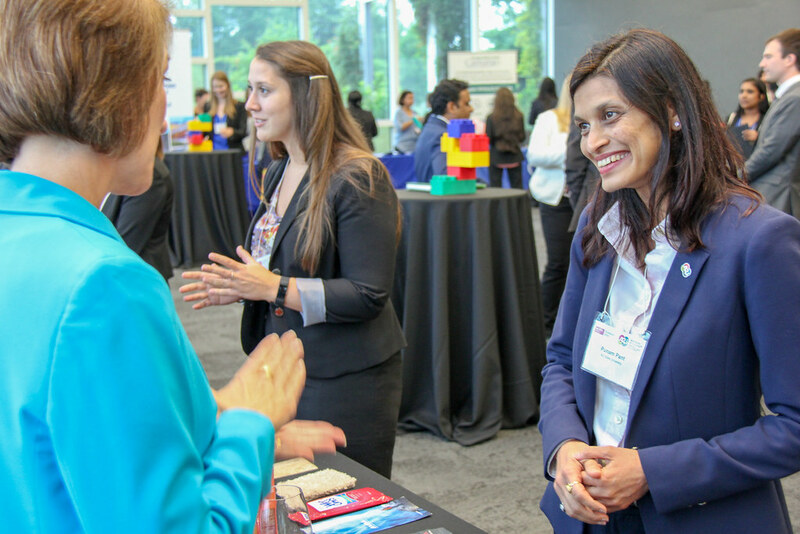 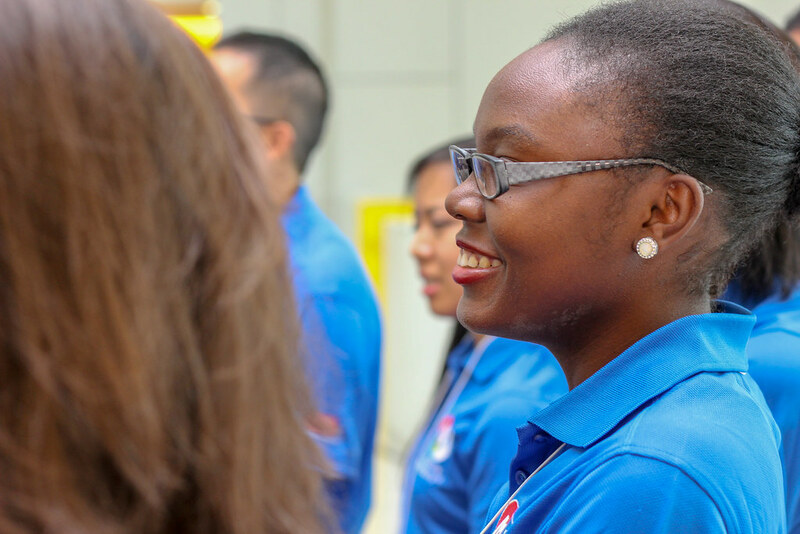 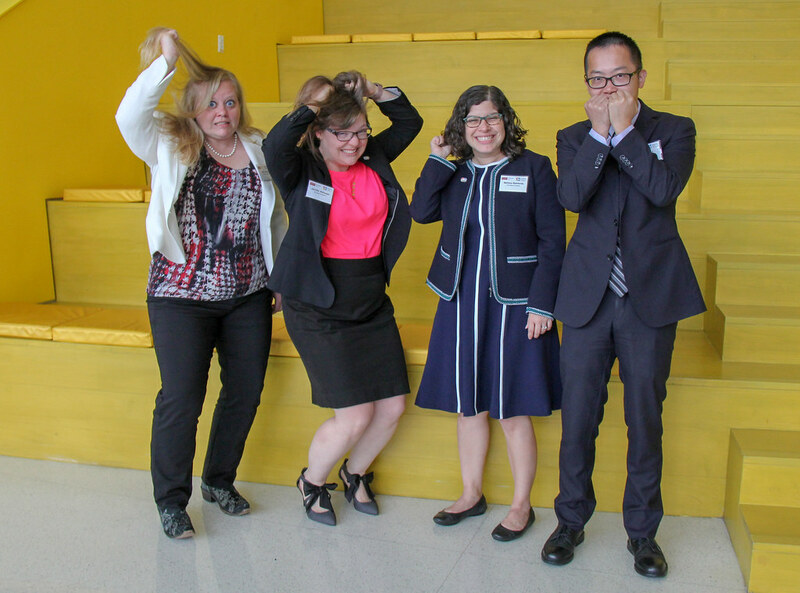 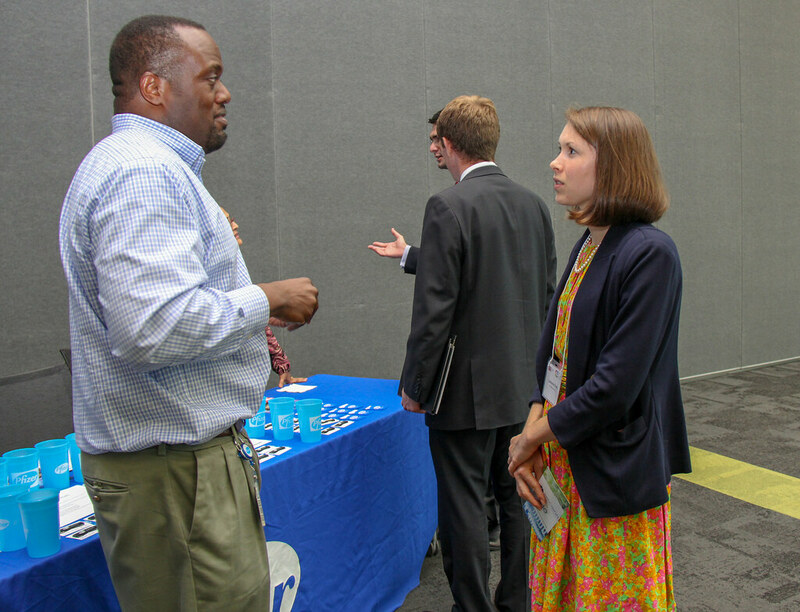 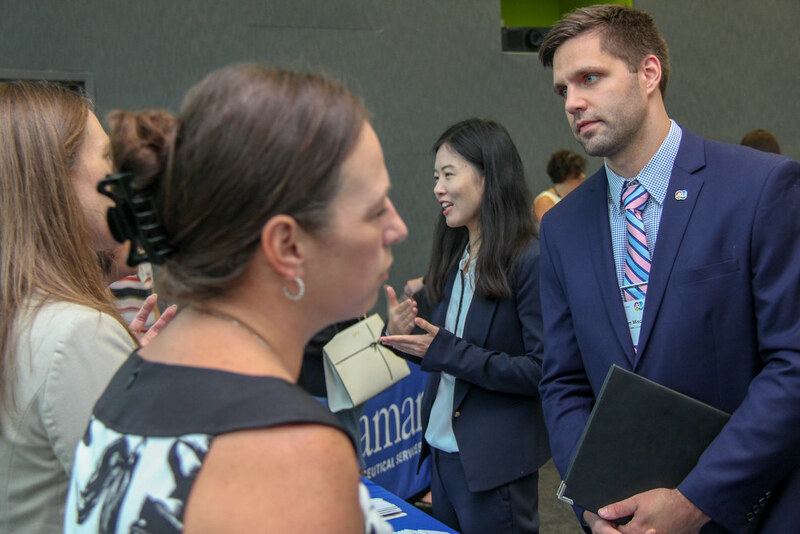 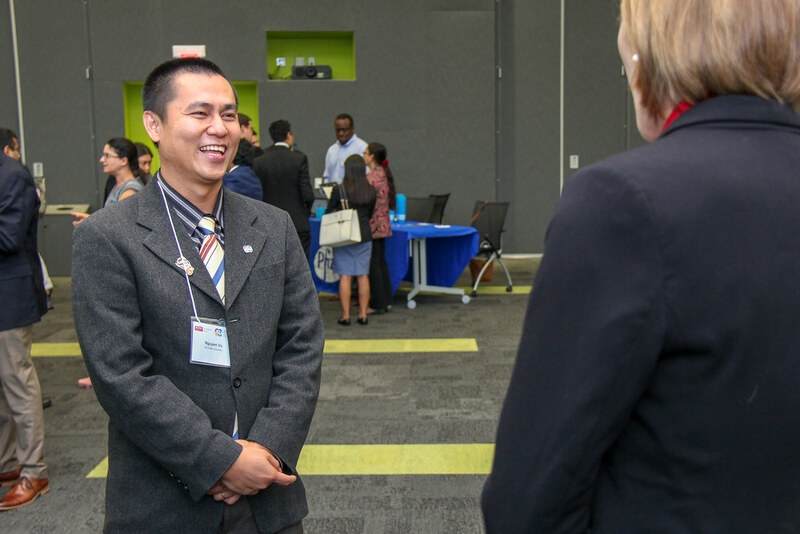 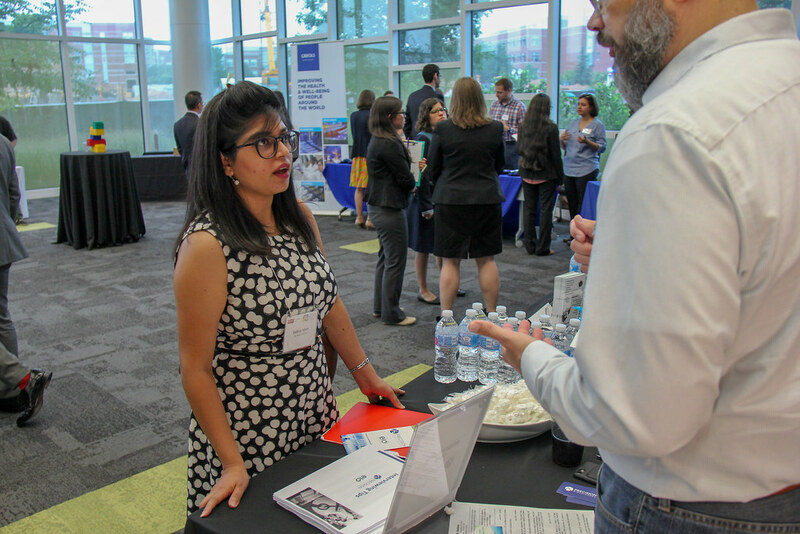 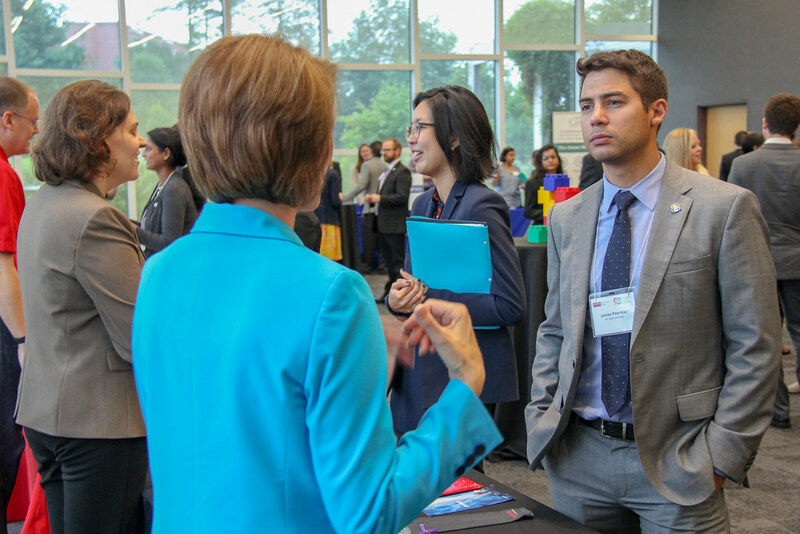 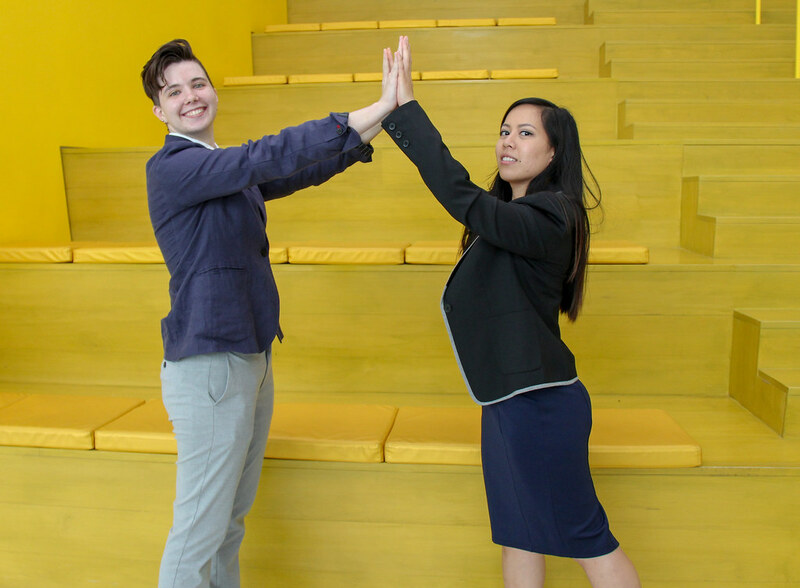 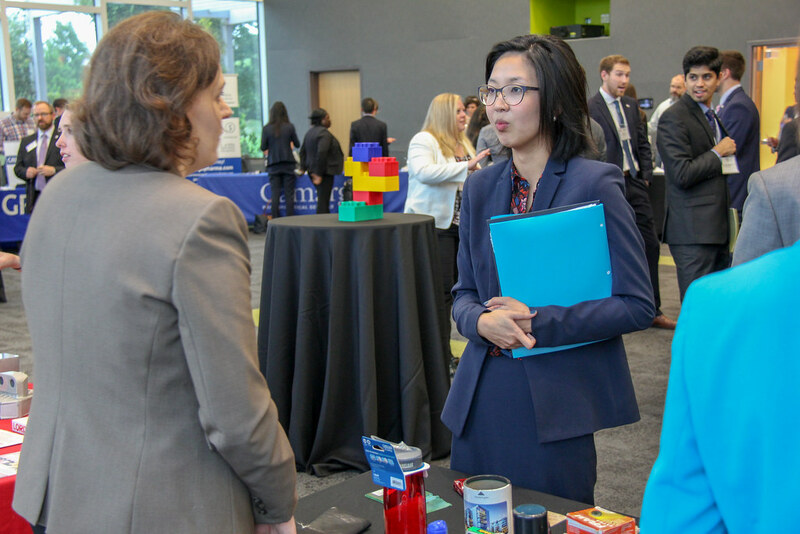 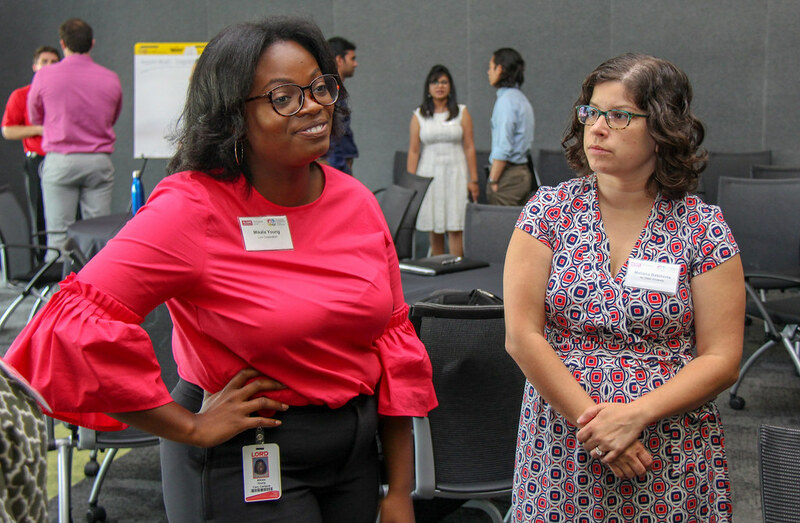 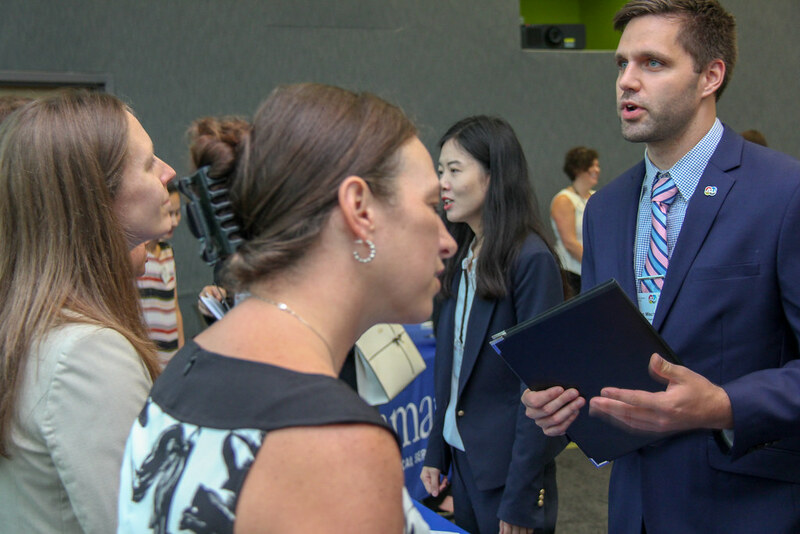 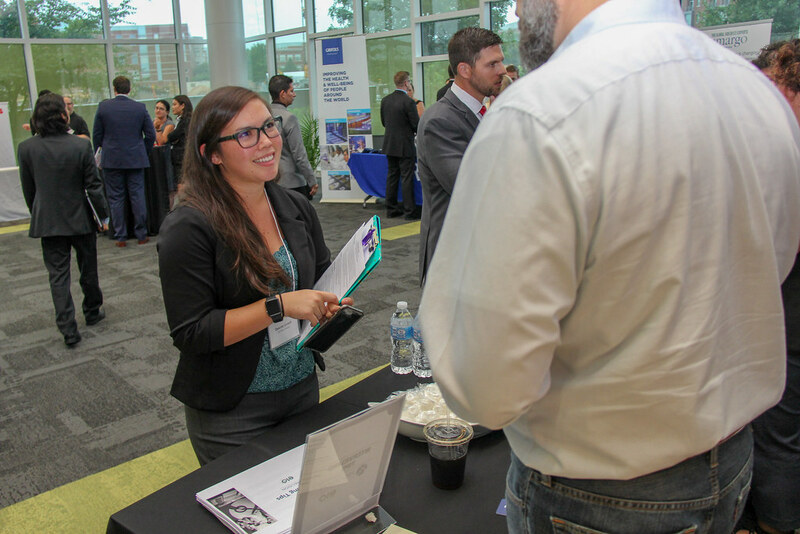 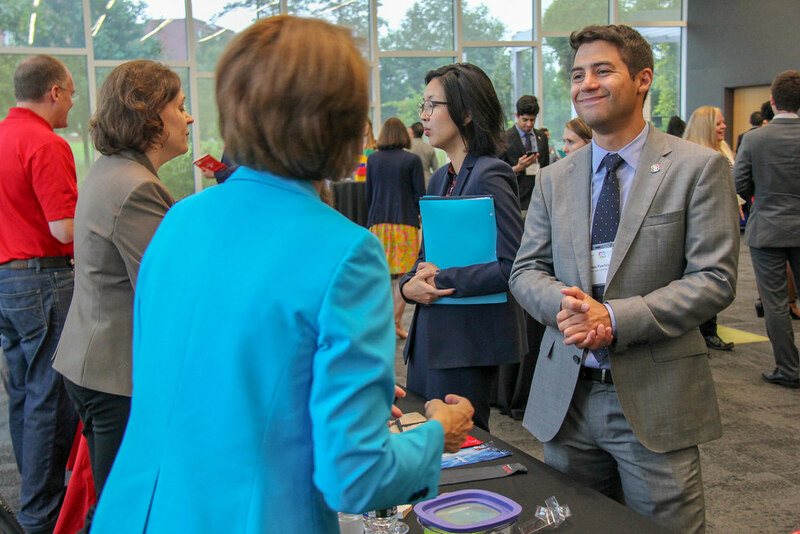 The A2i program, launched earlier this year by the Graduate School, provides graduate students and postdocs with opportunities to explore careers in industry and to develop cross-functional skills. 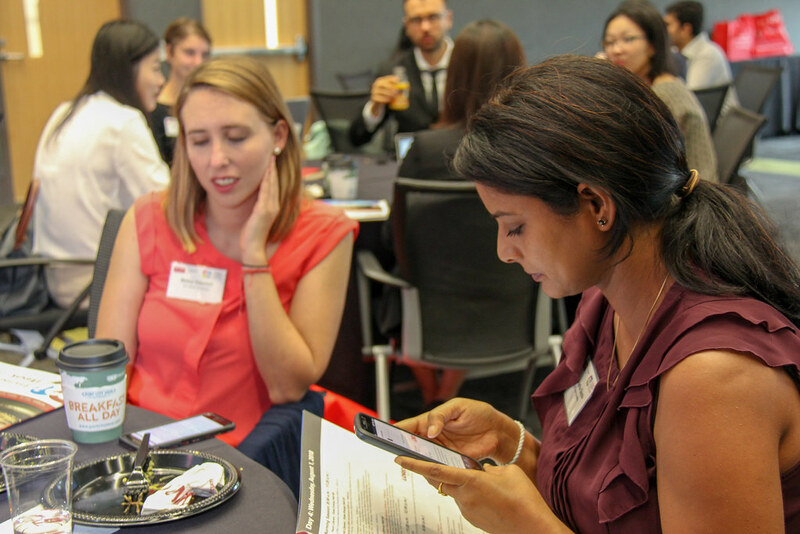 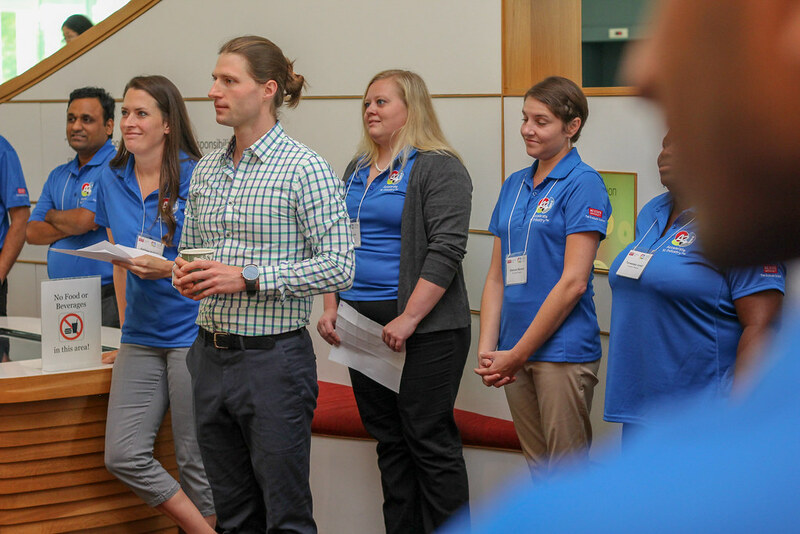 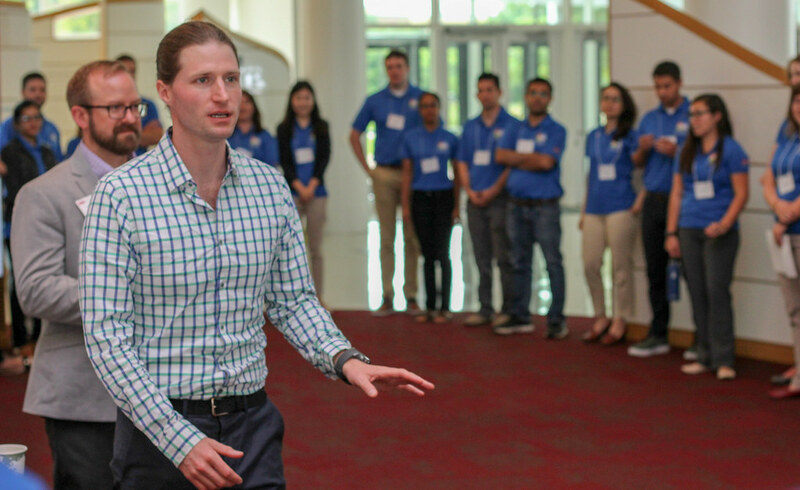 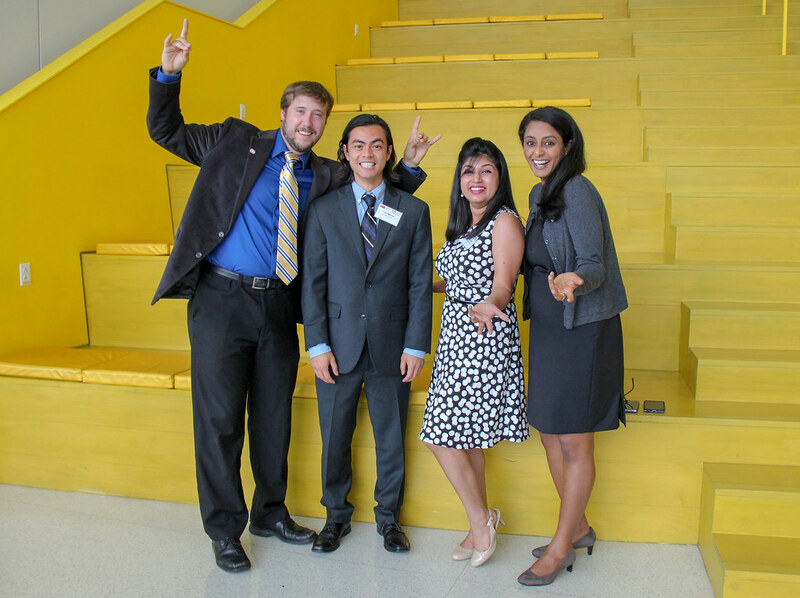 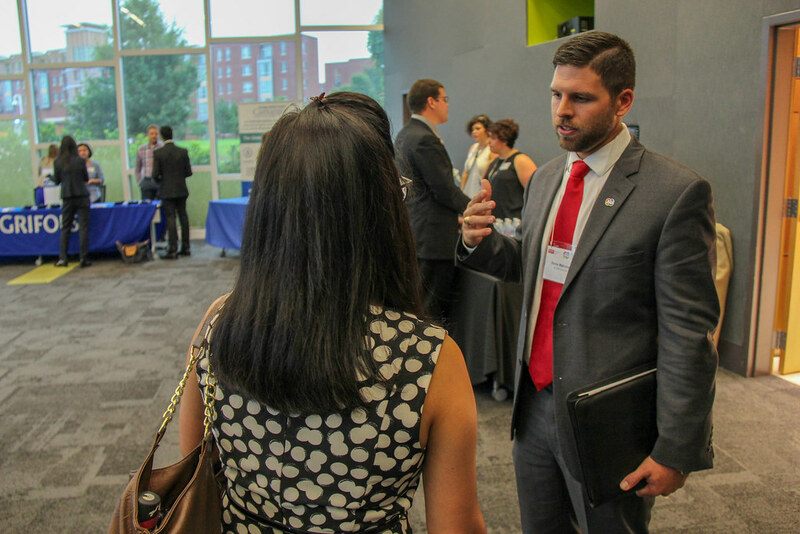 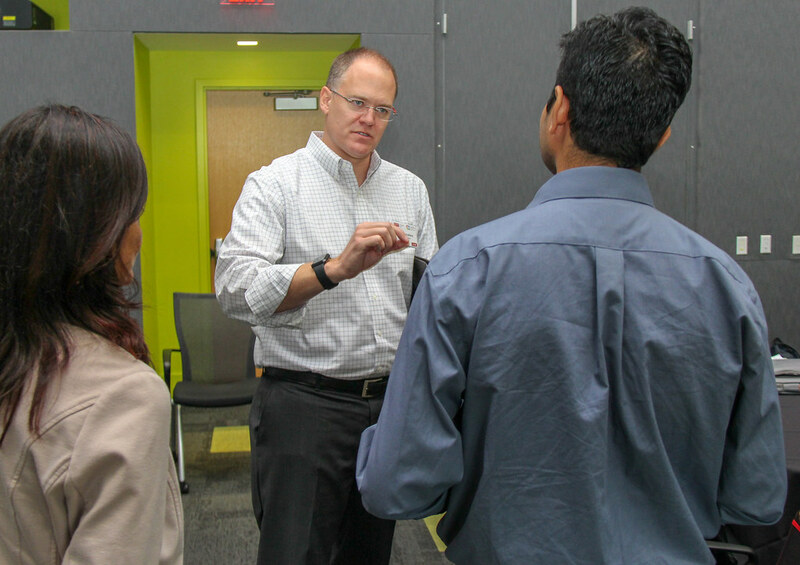 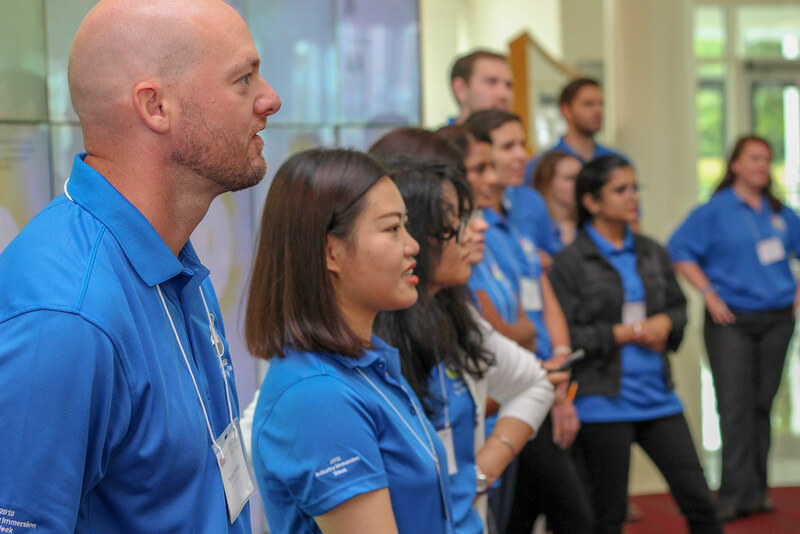 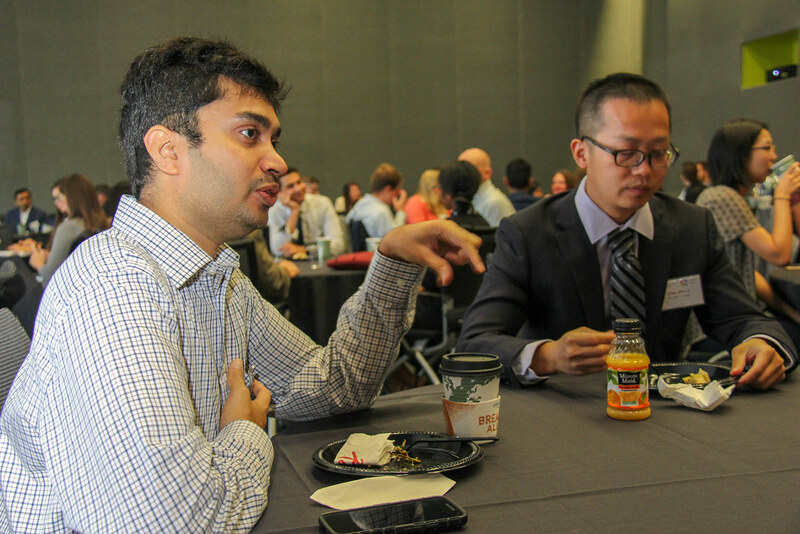 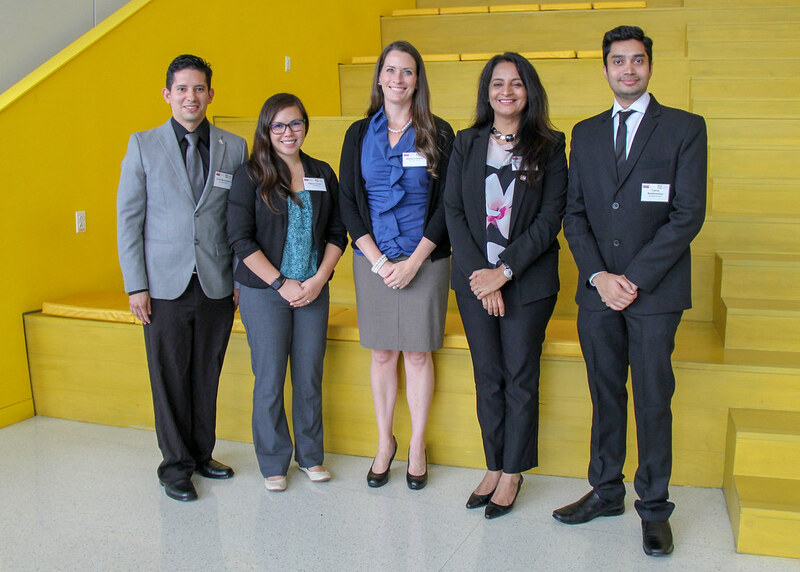 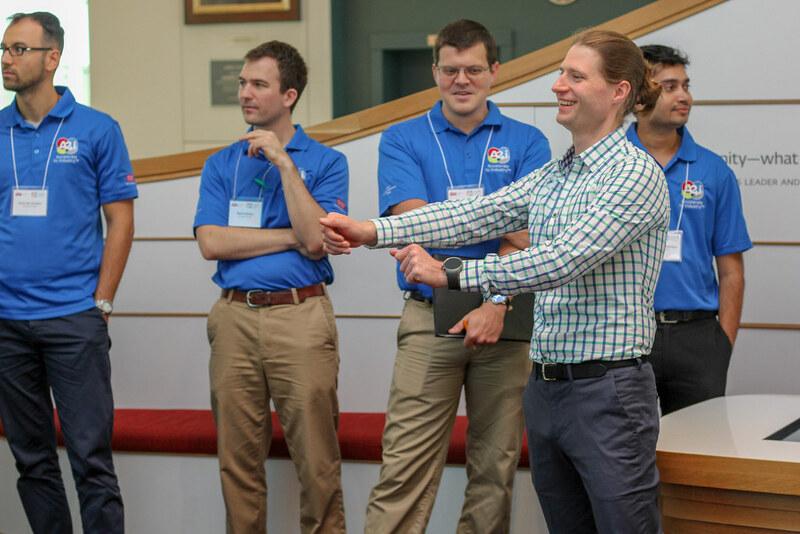 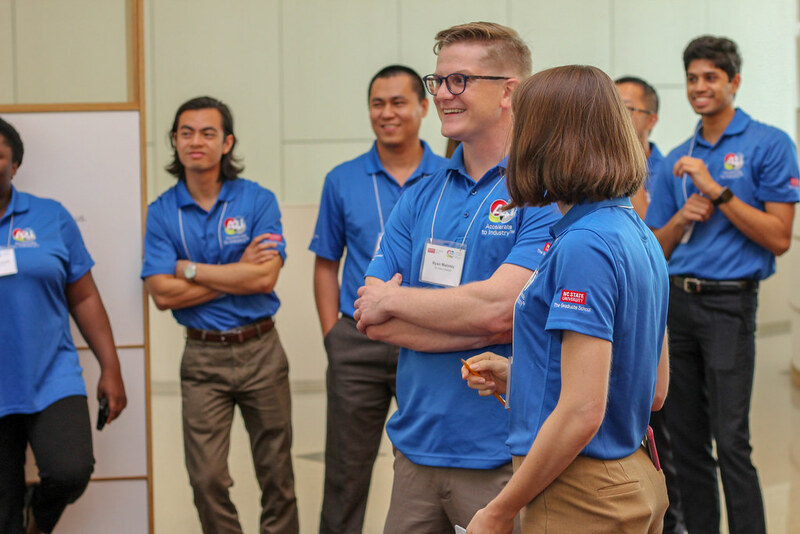 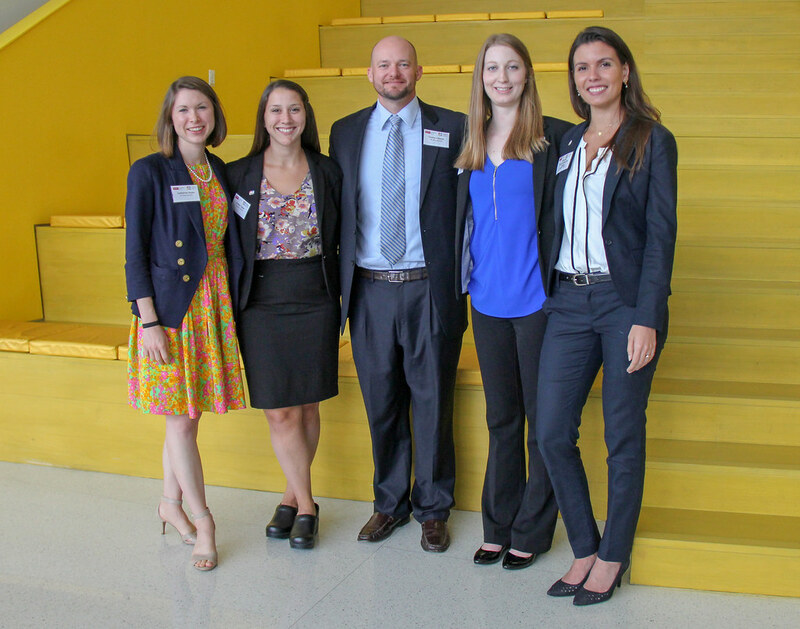 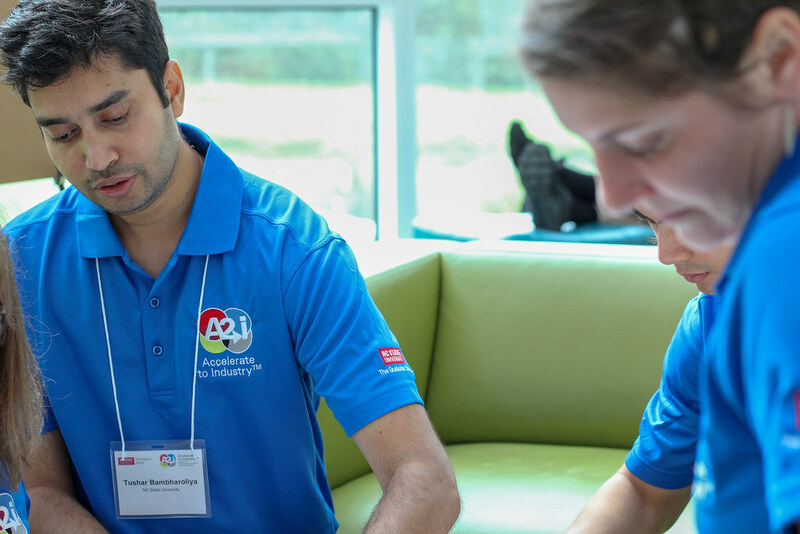 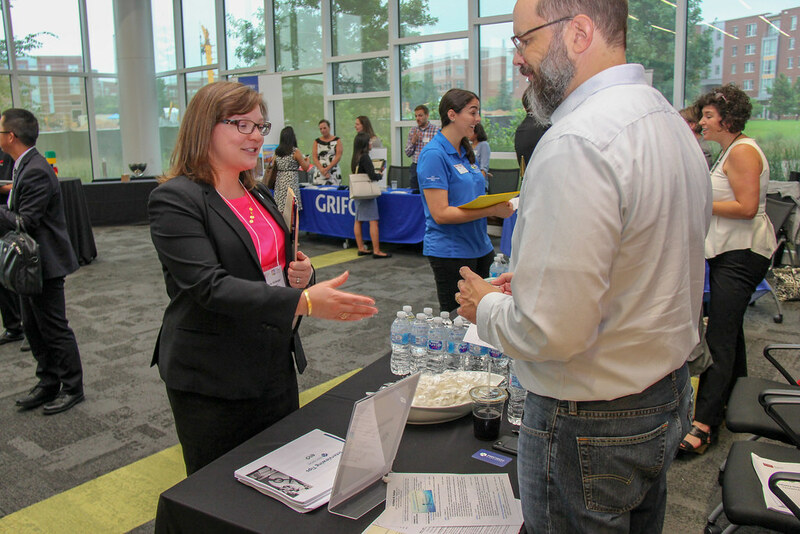 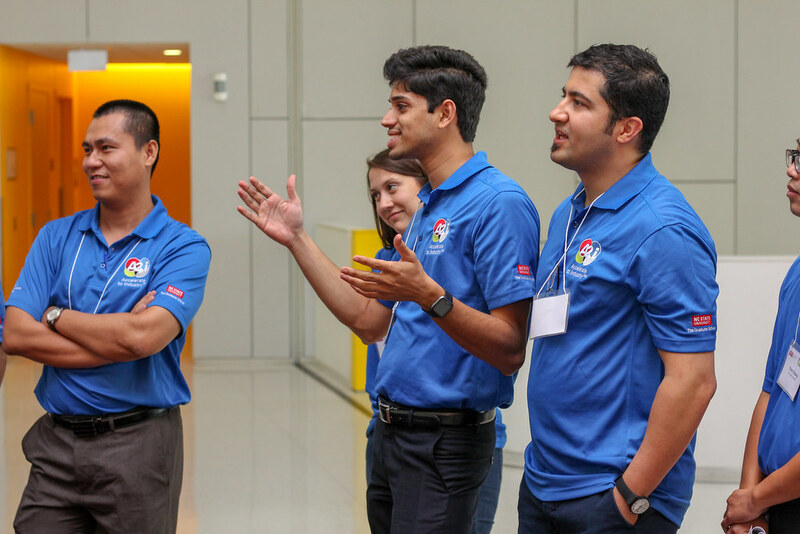 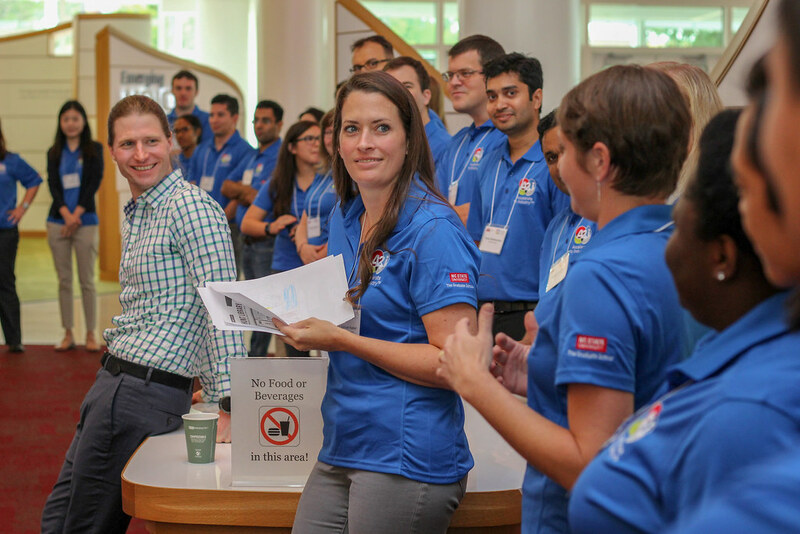 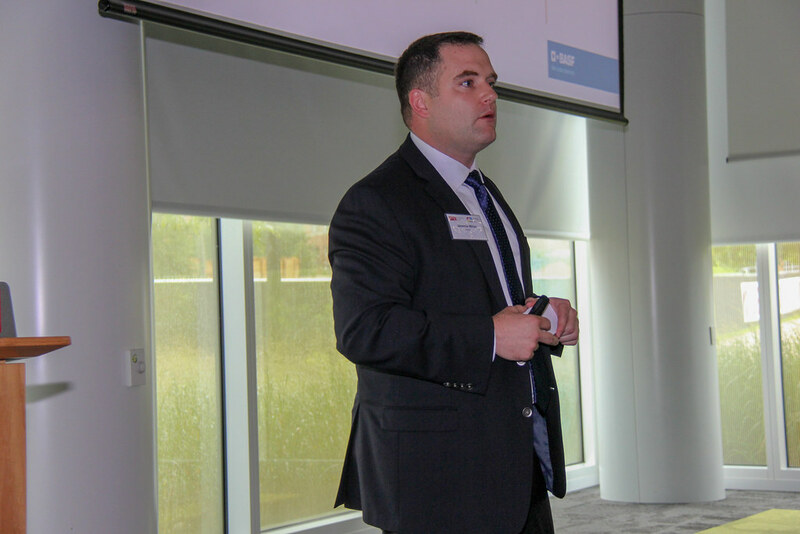 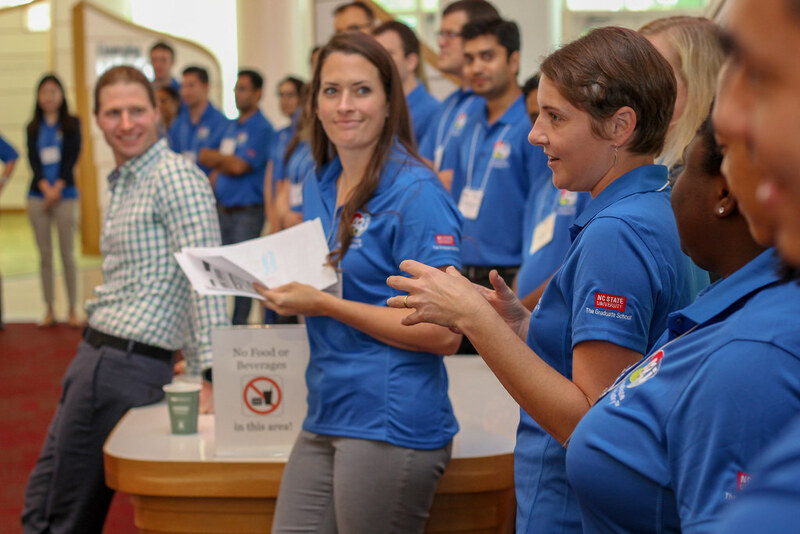 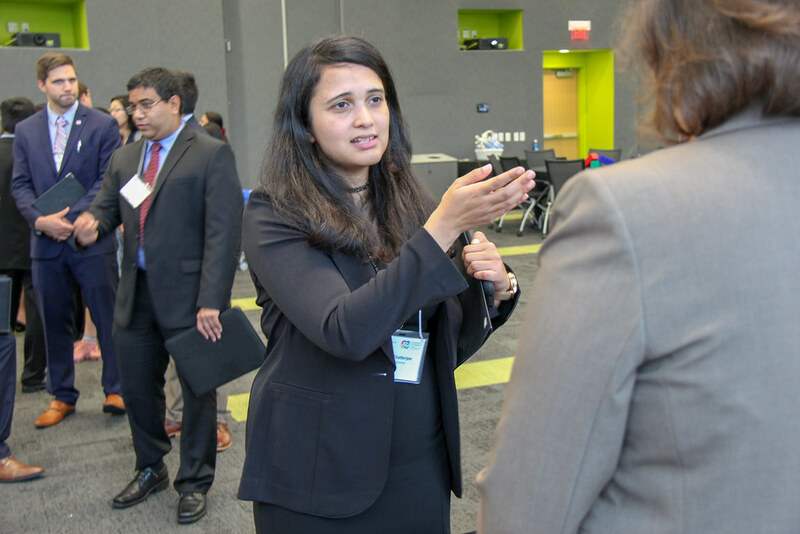 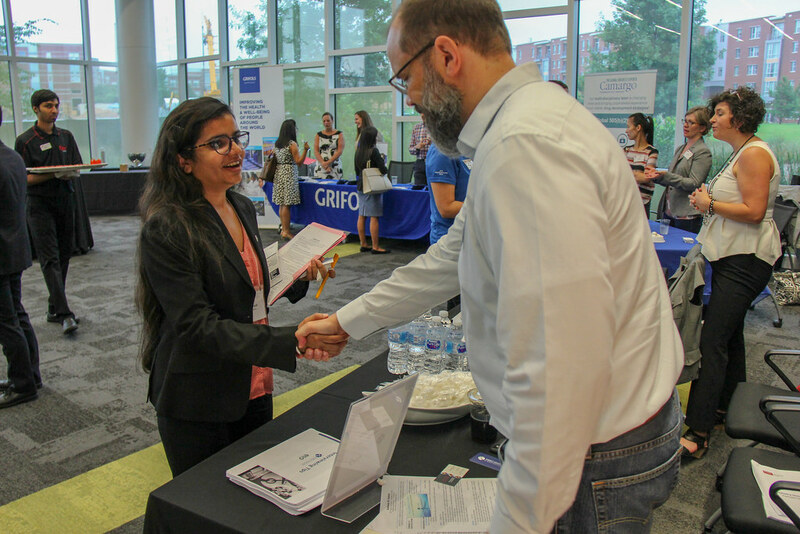 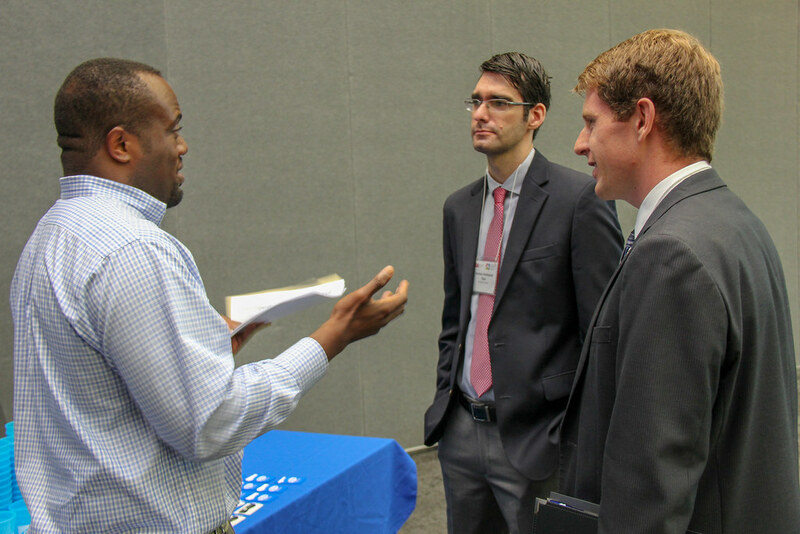 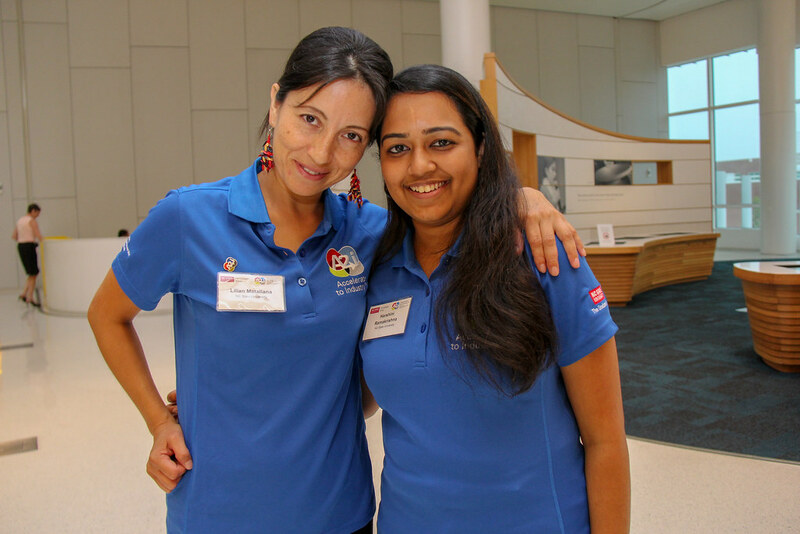 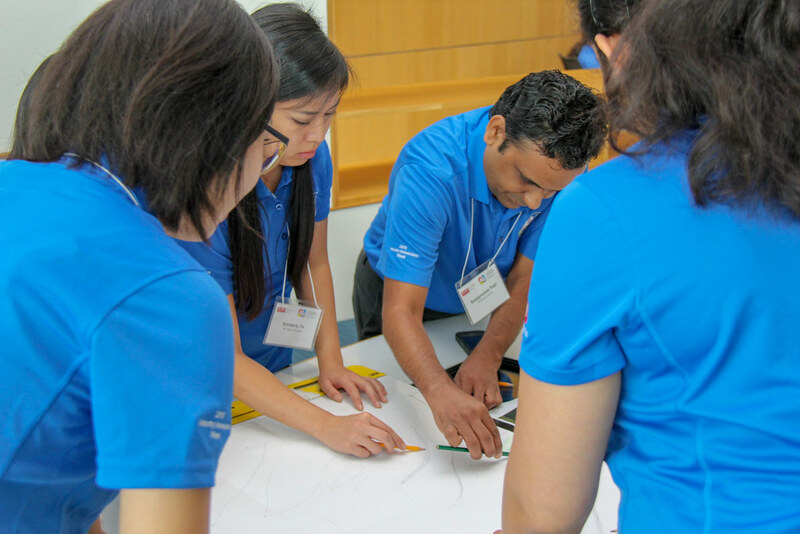 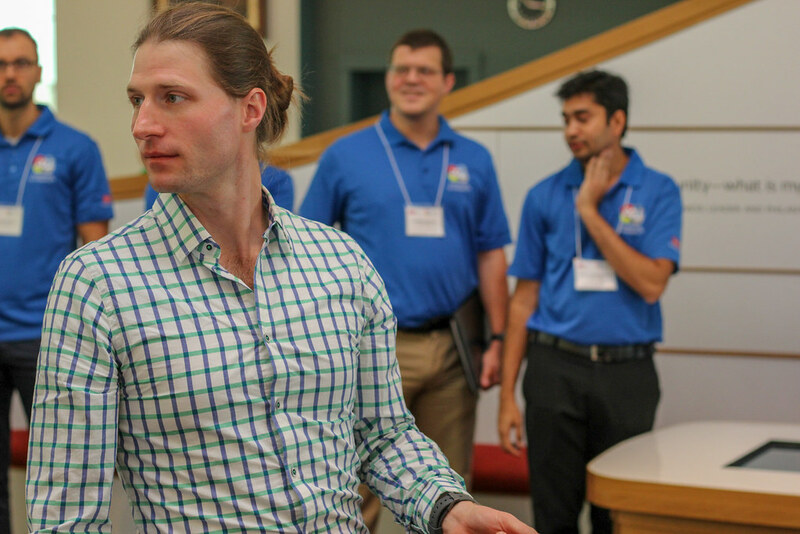 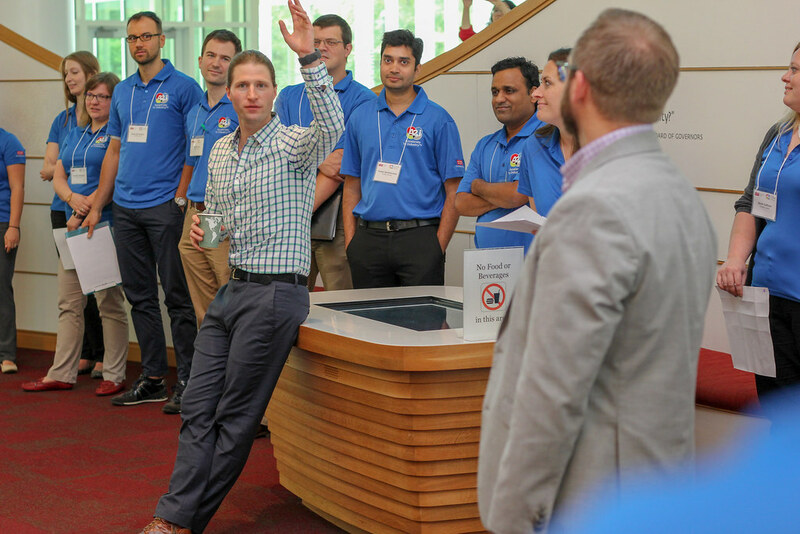 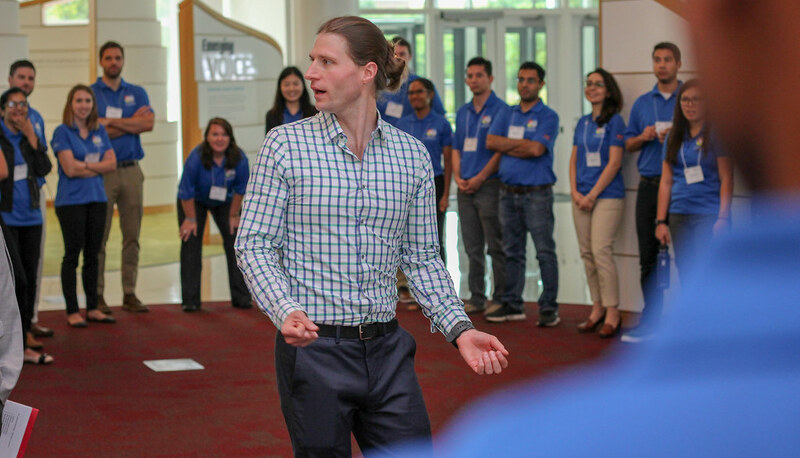 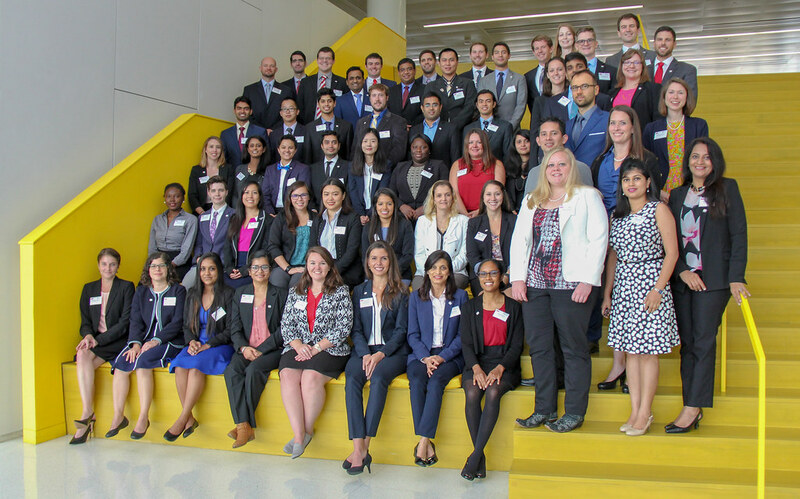 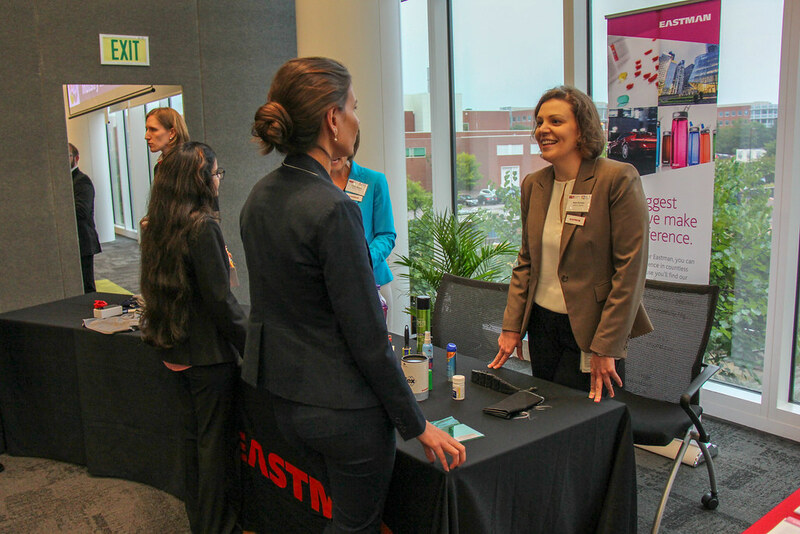 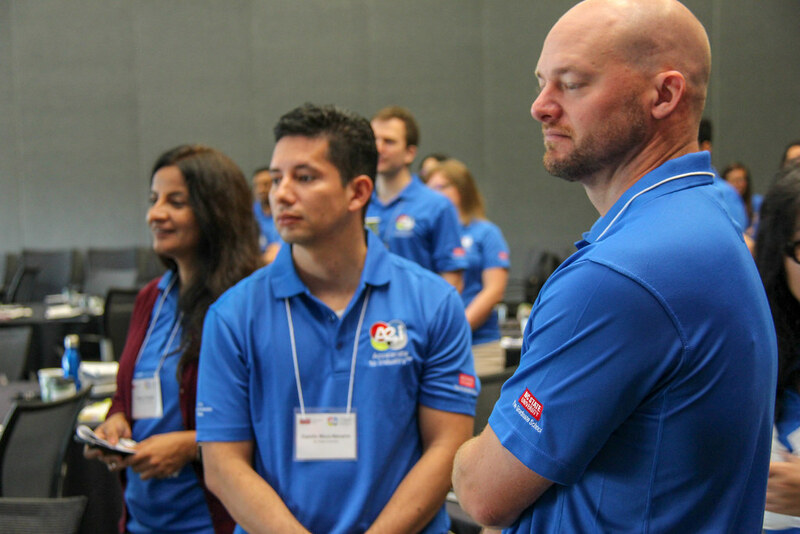 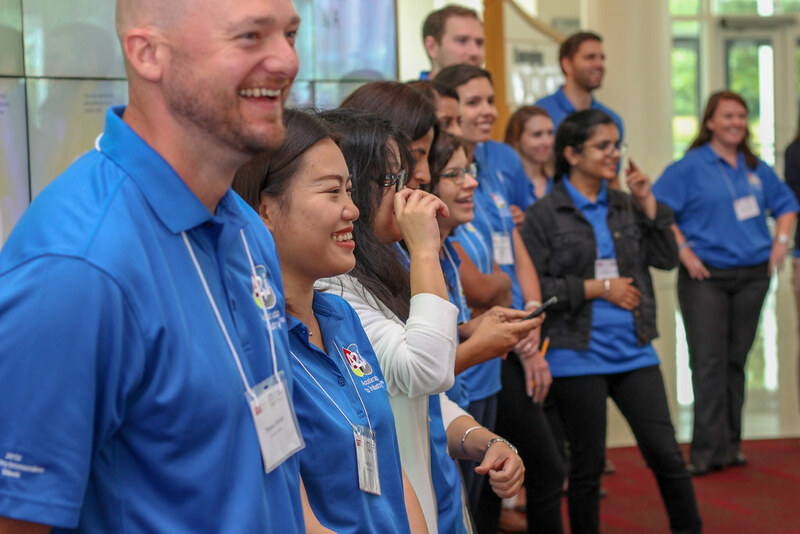 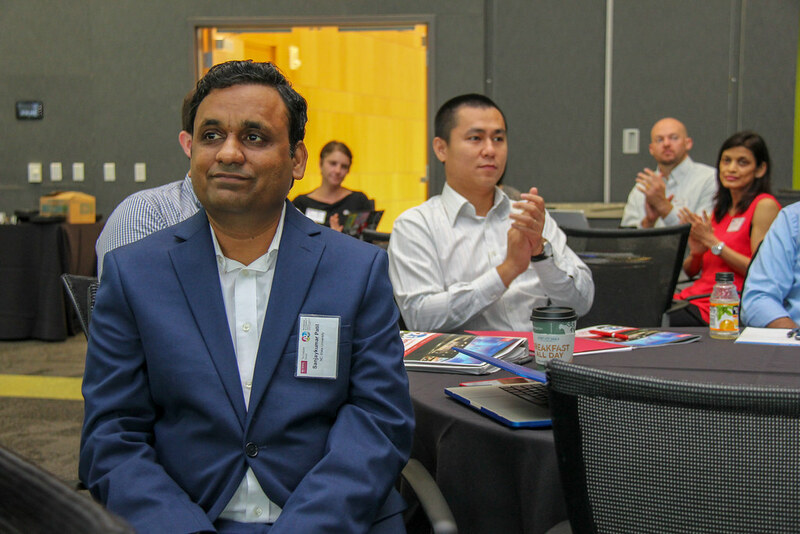 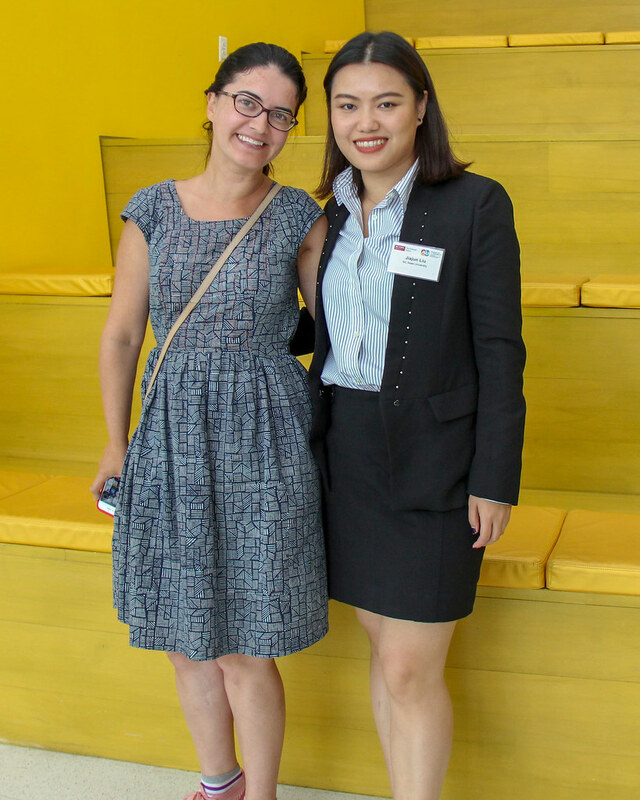 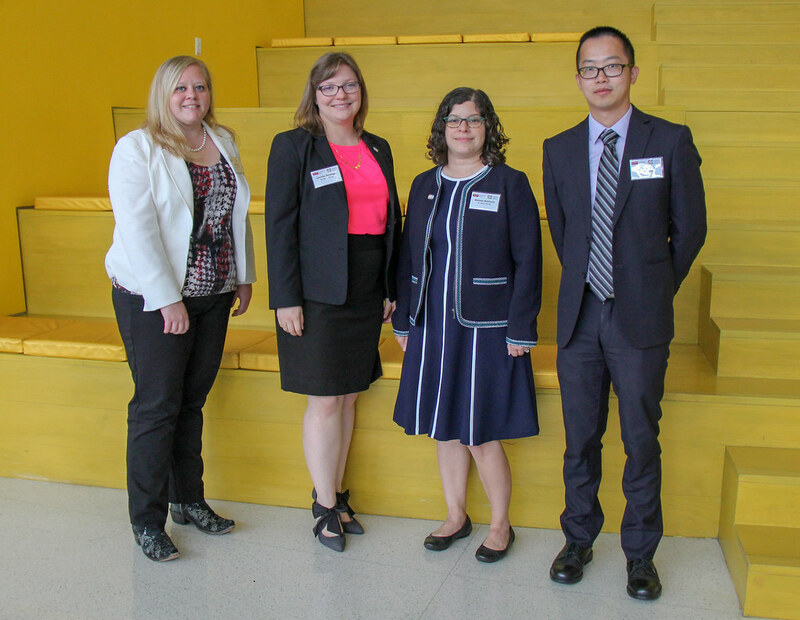 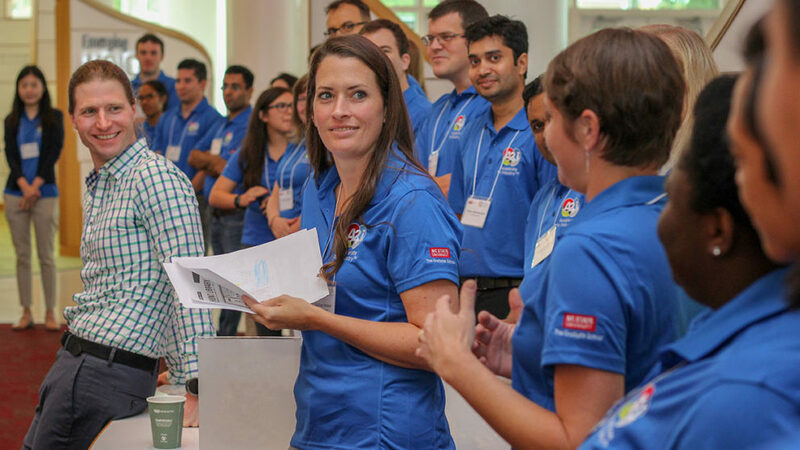 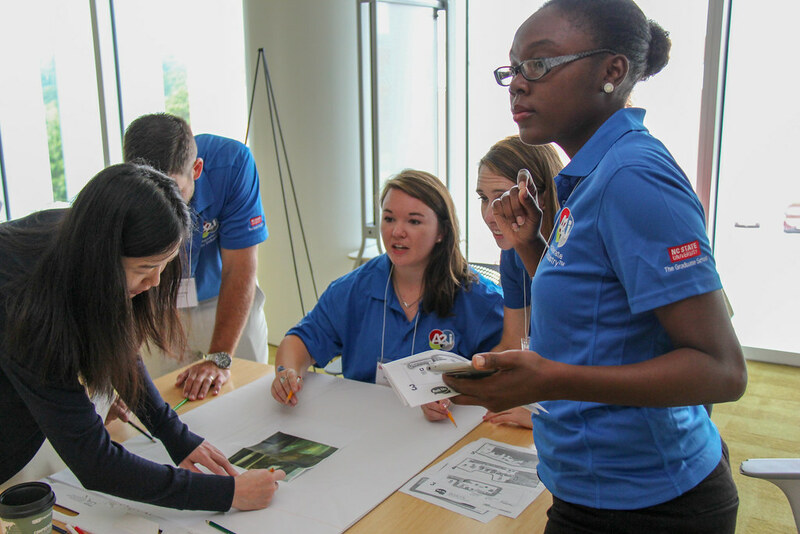 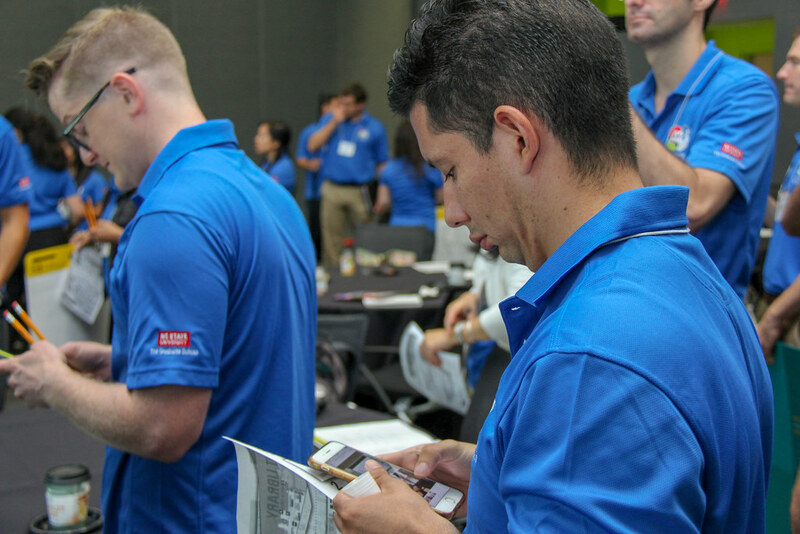 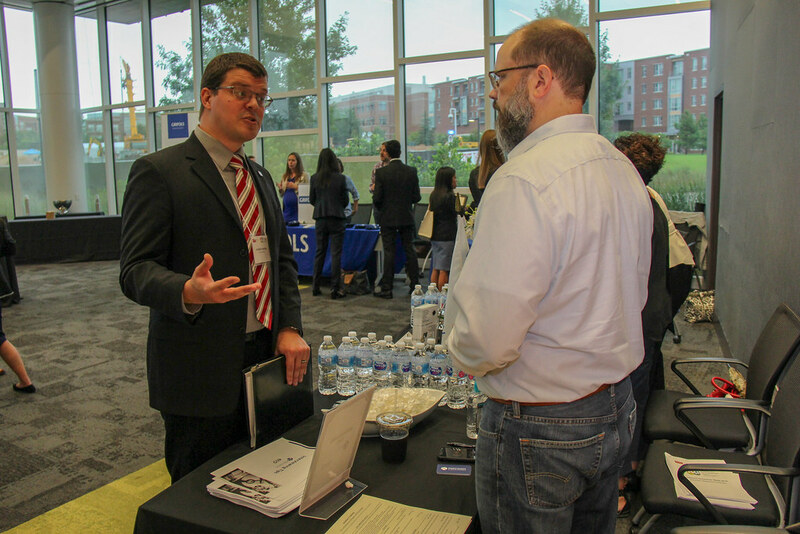 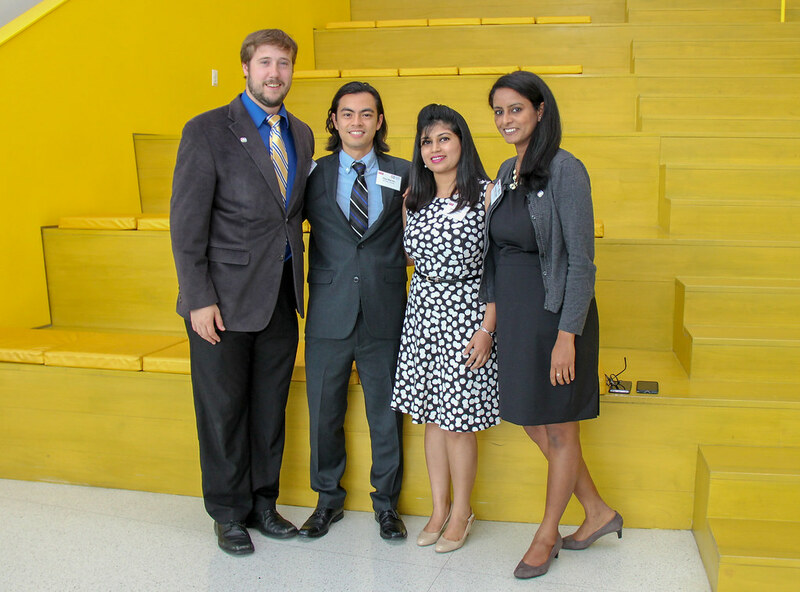 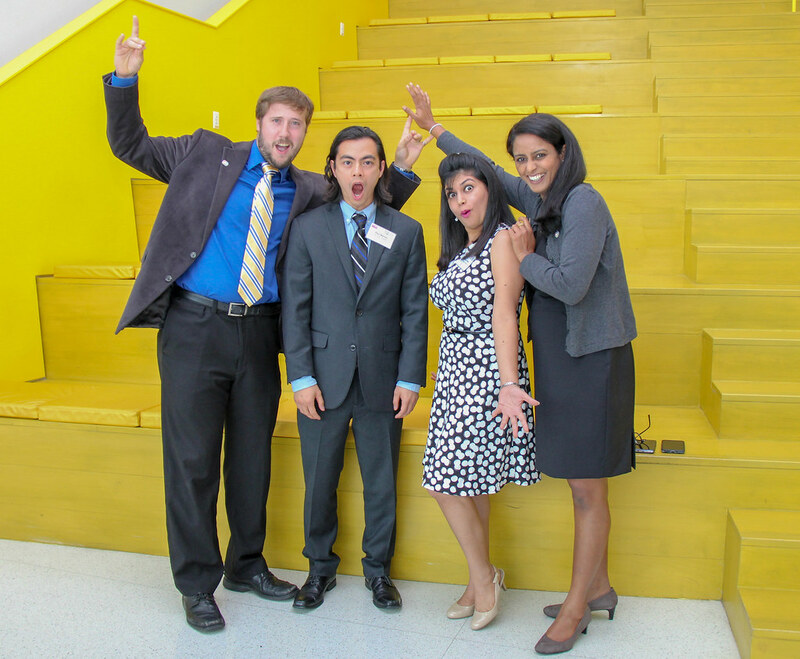 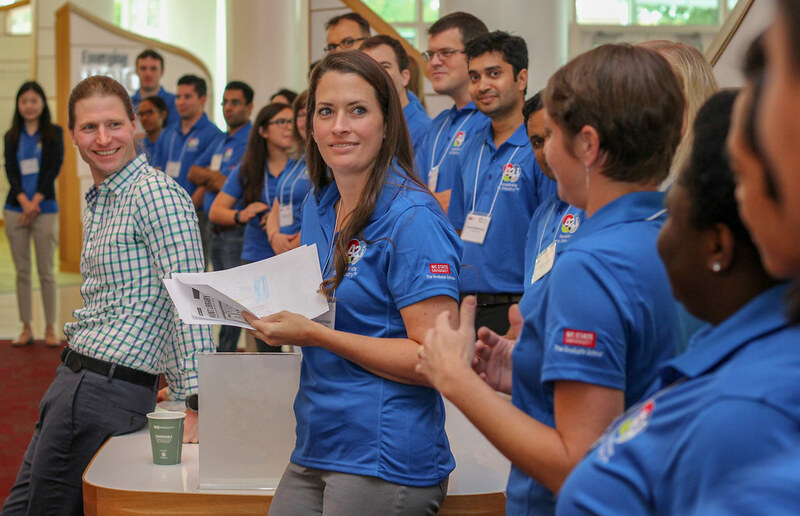 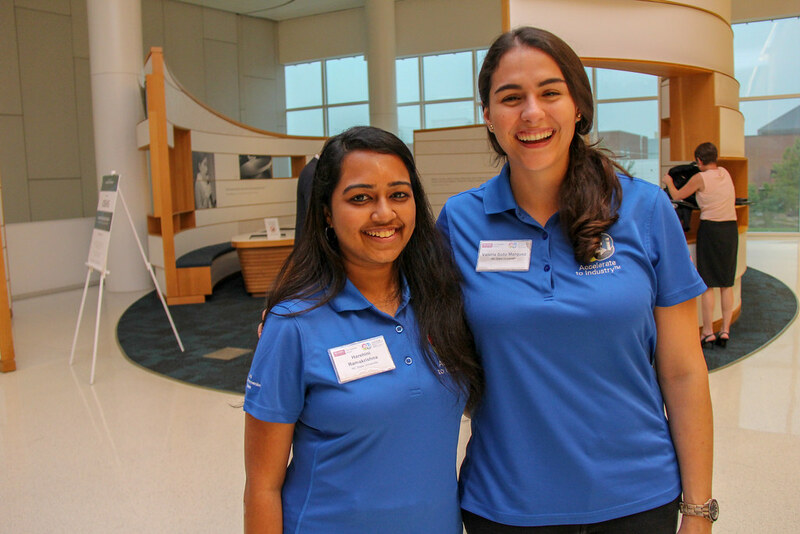 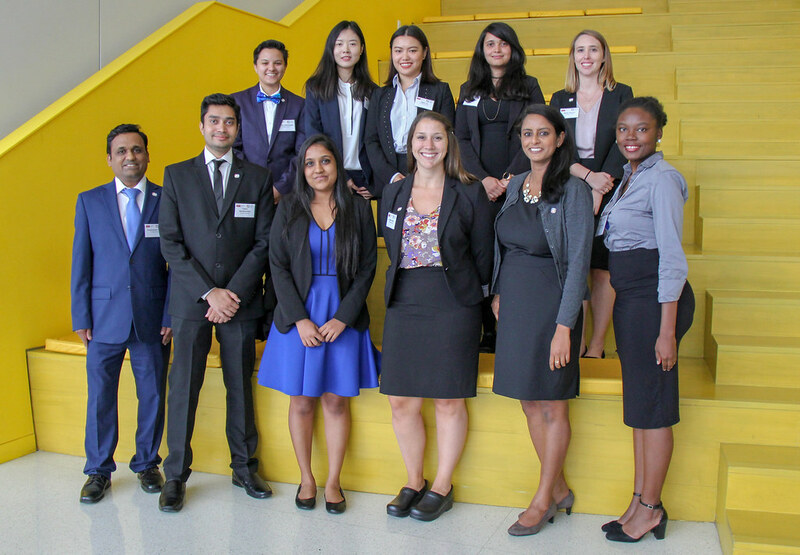 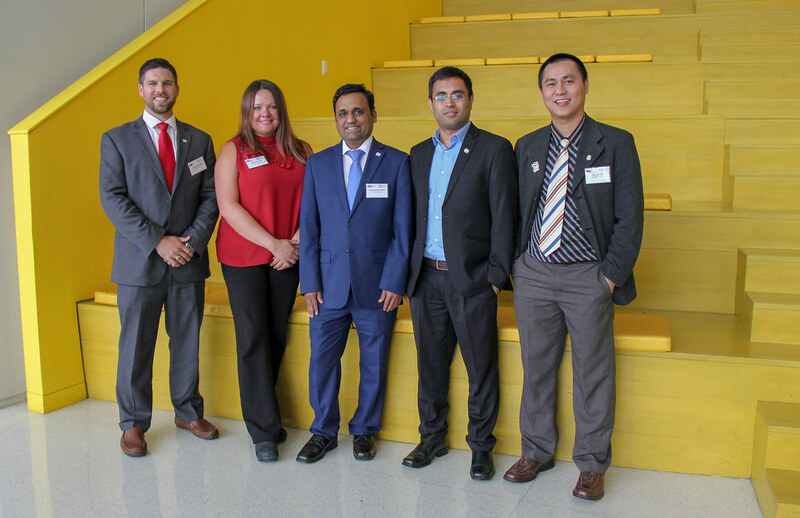 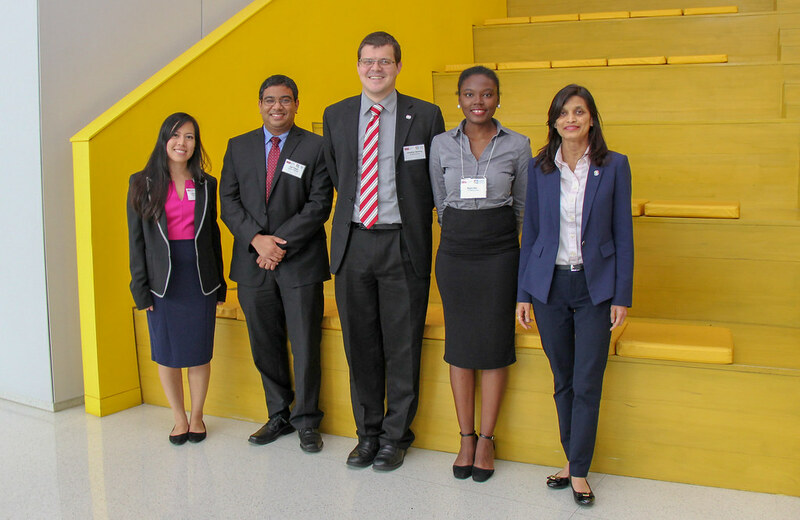 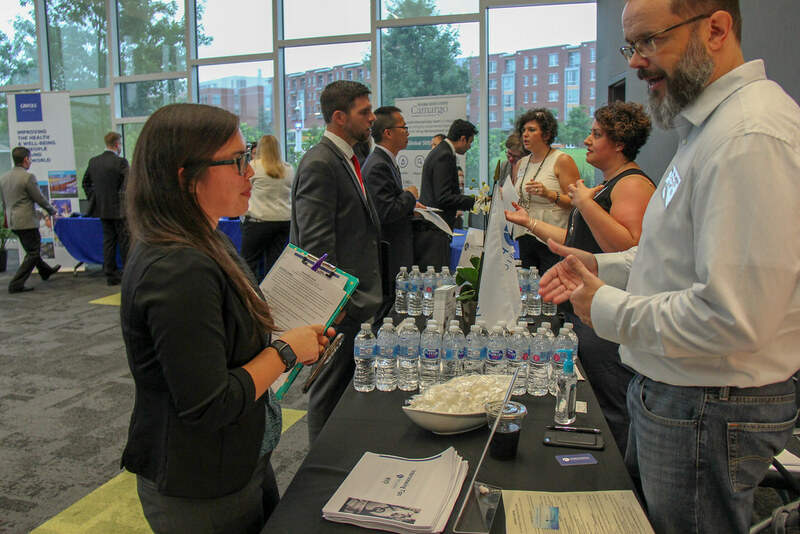 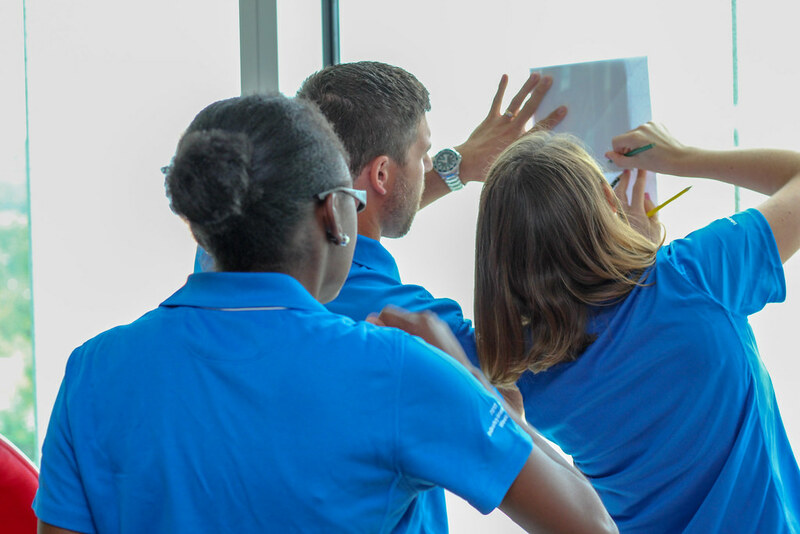 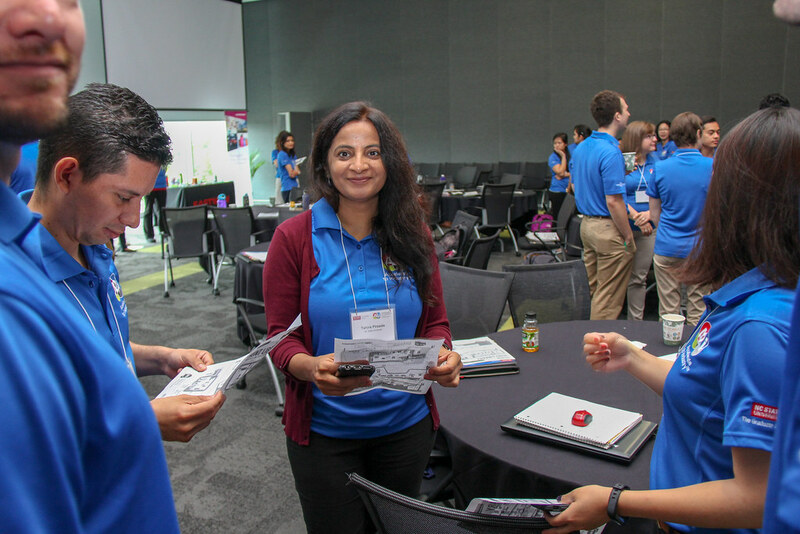 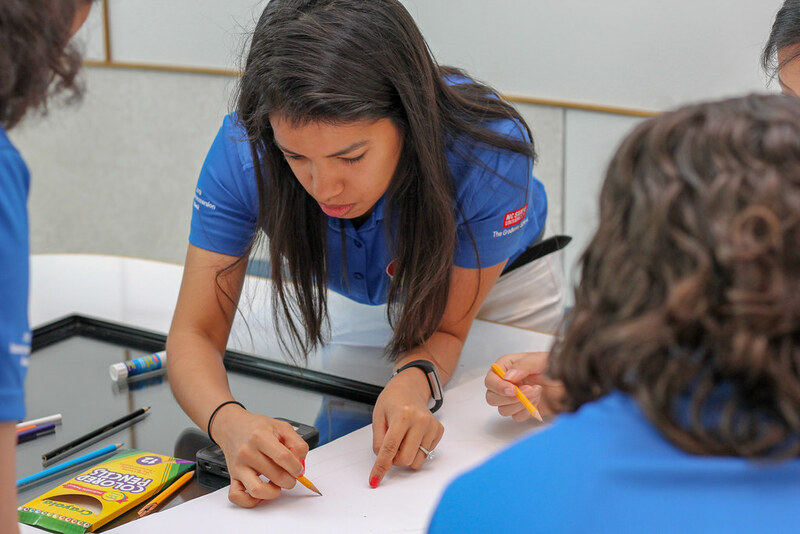 The Graduate School held its first A2i Industry Immersion Week last summer. 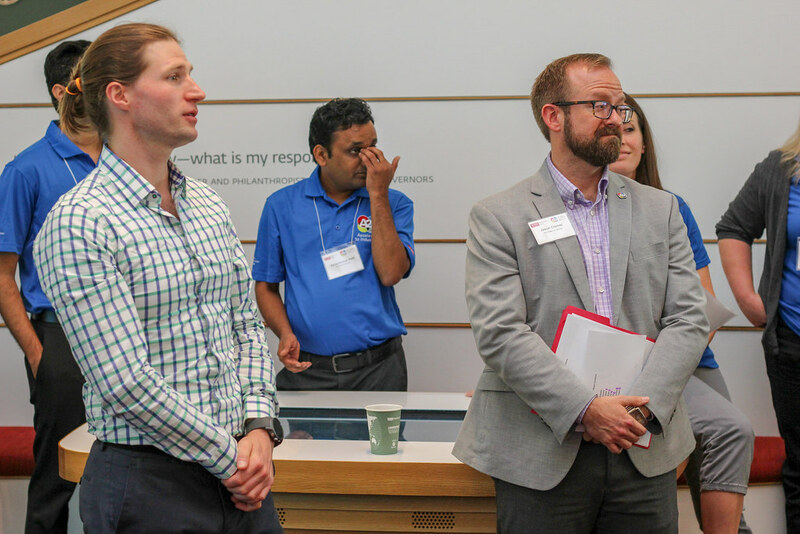 The focus of the program is important for students and postdocs, at a time when fewer are finding tenure-track faculty positions. 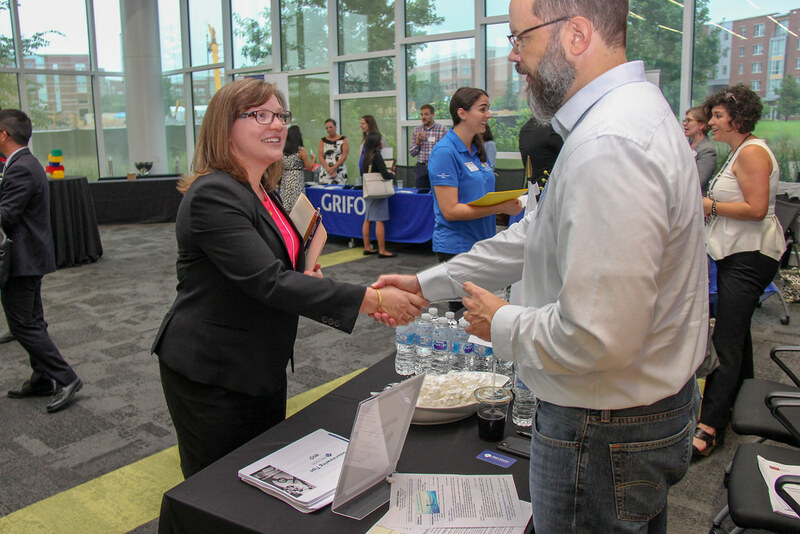 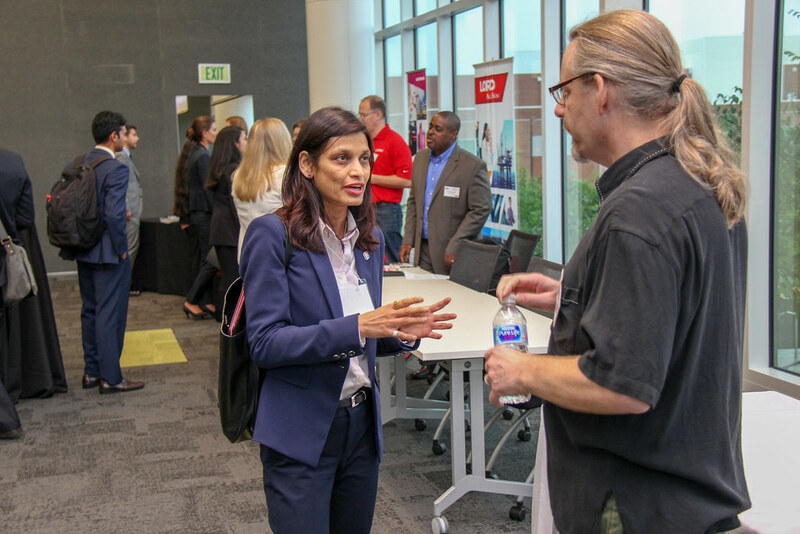 The good news is that companies across major industry sectors are eager to hire doctoral degree holders who demonstrate strong technical expertise and business talent. 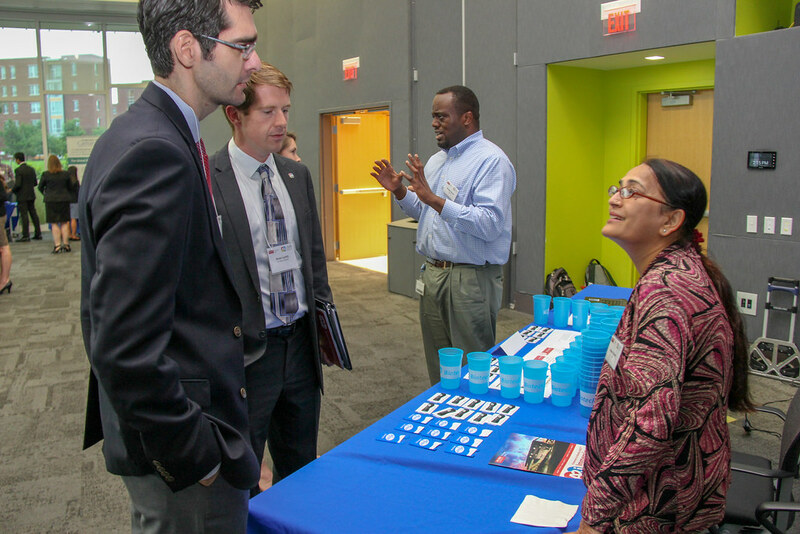 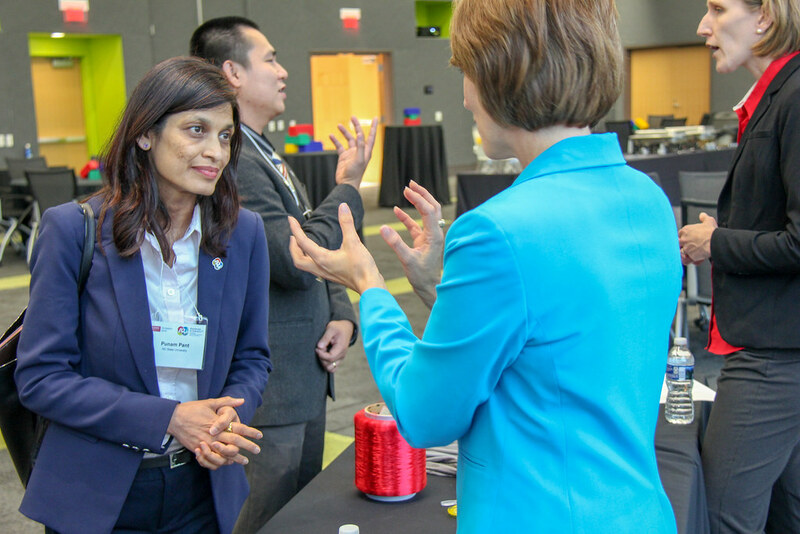 One local economic development professional said that A2i activities are “like mini-MBA experiences for non-MBA students and postdocs.” The A2i activities, including the Industry Immersion Week, are designed to increase awareness of industry careers and culture and to help participants develop key competencies valued by industry, such as leadership, market analysis, commercialization and communication project management. 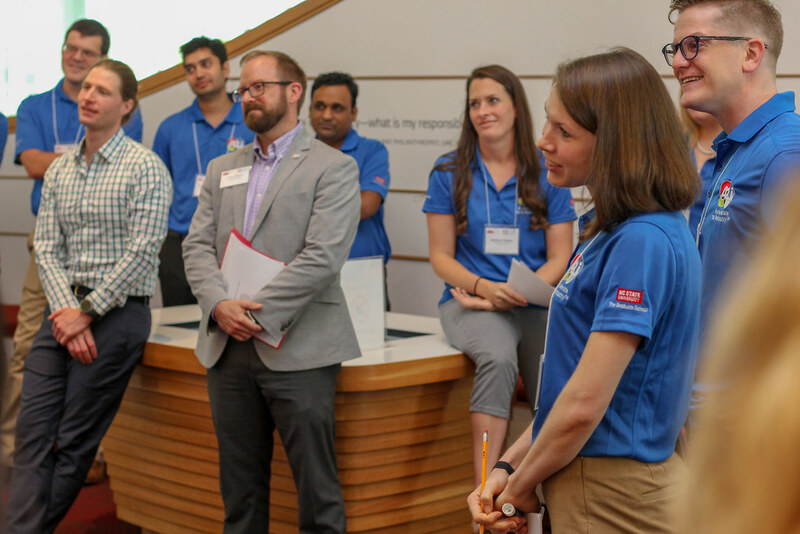 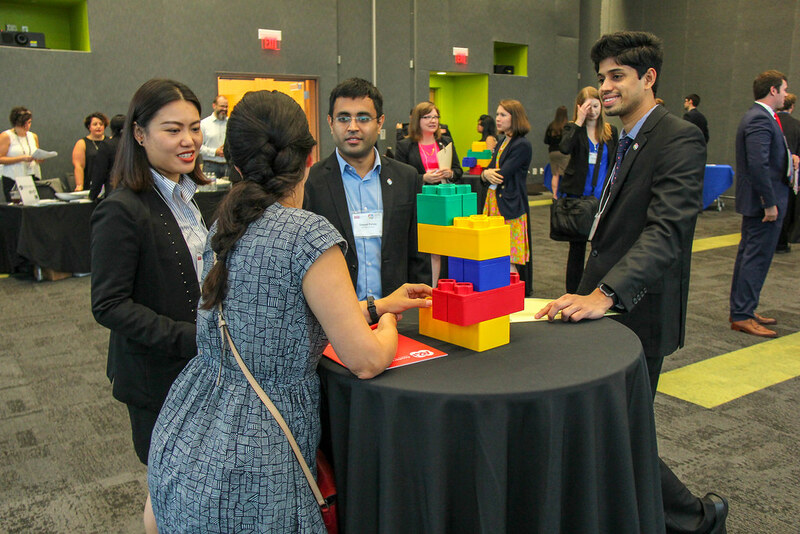 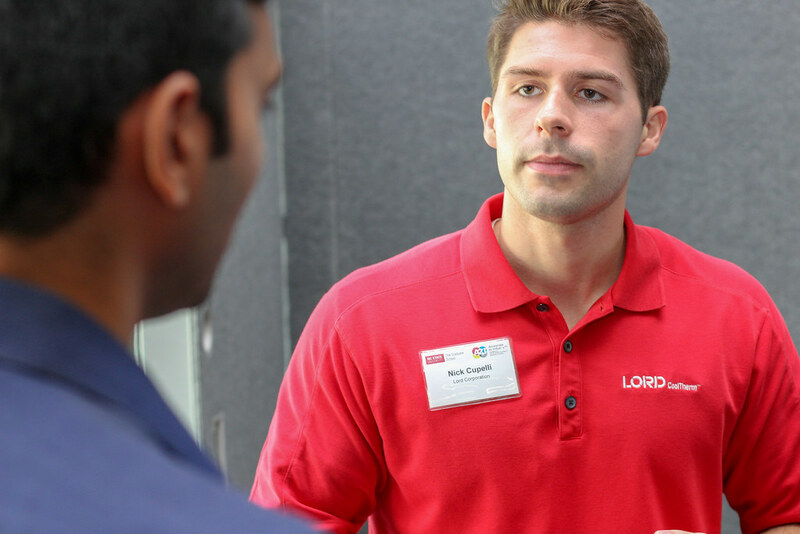 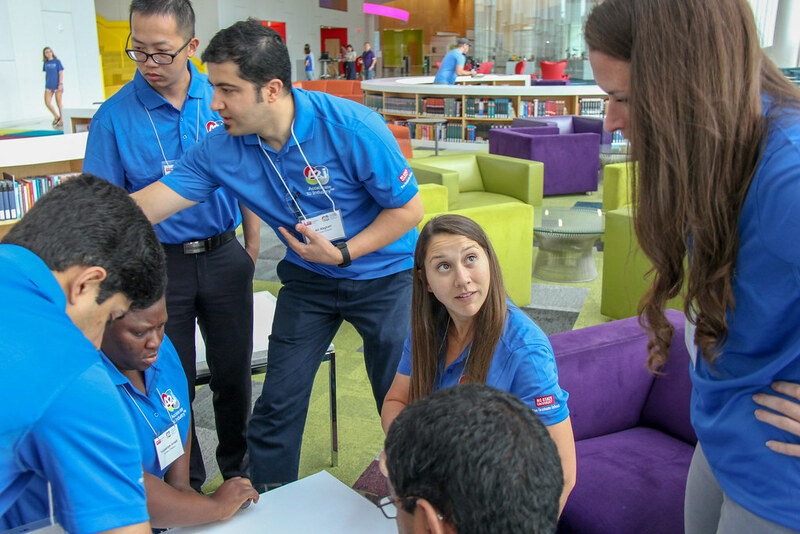 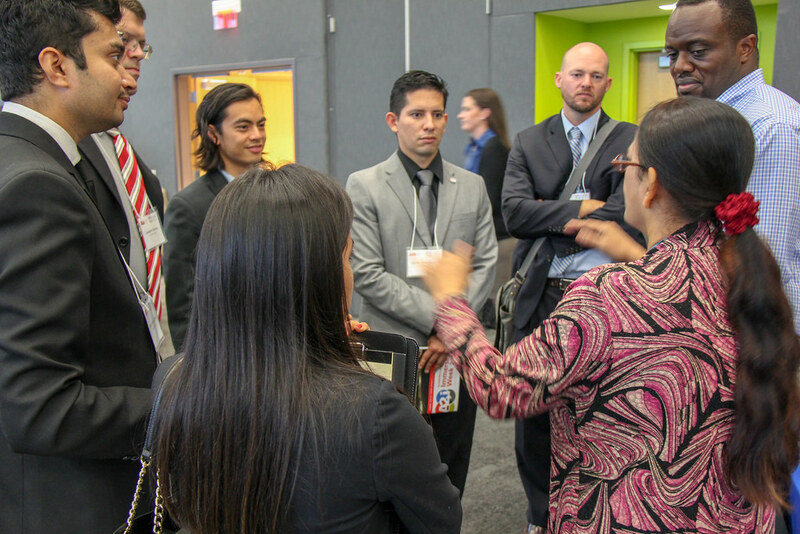 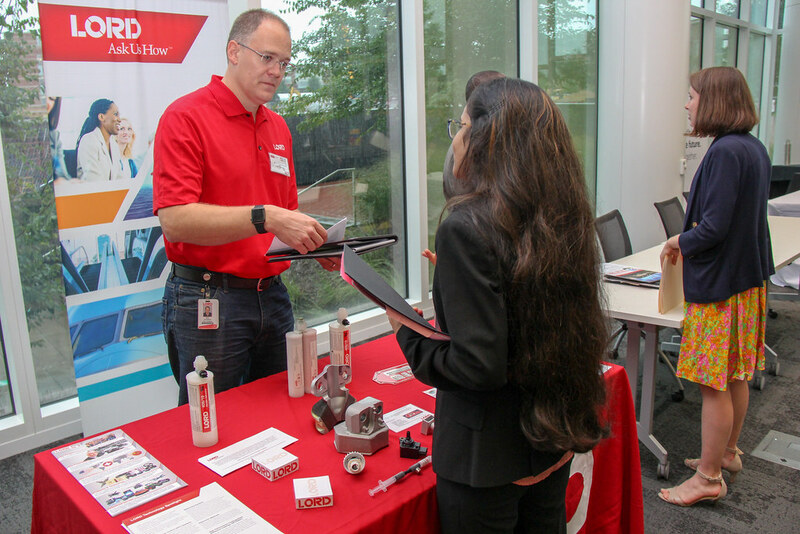 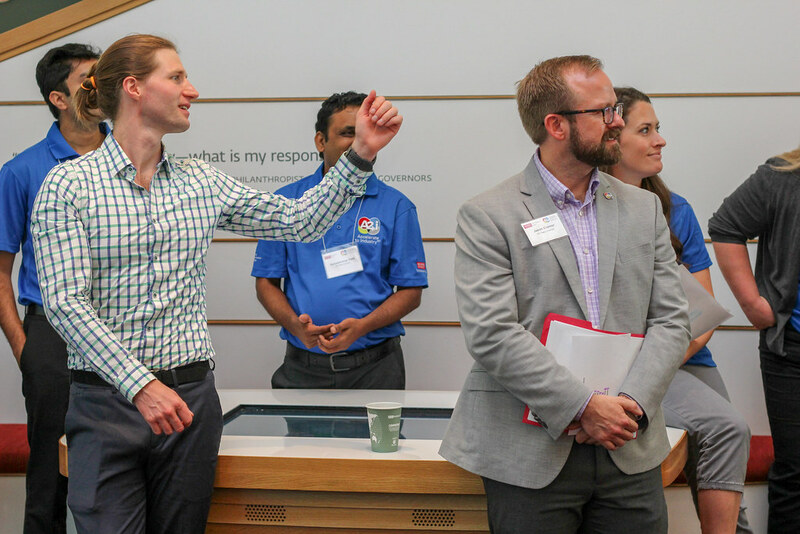 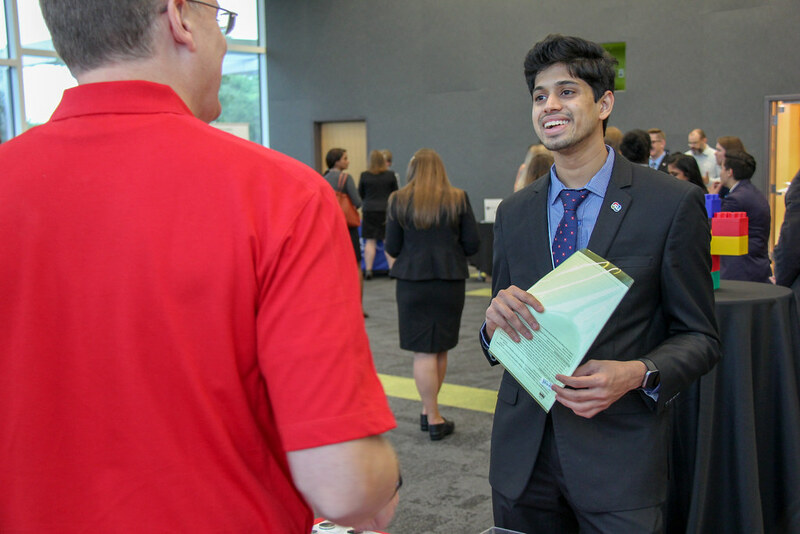 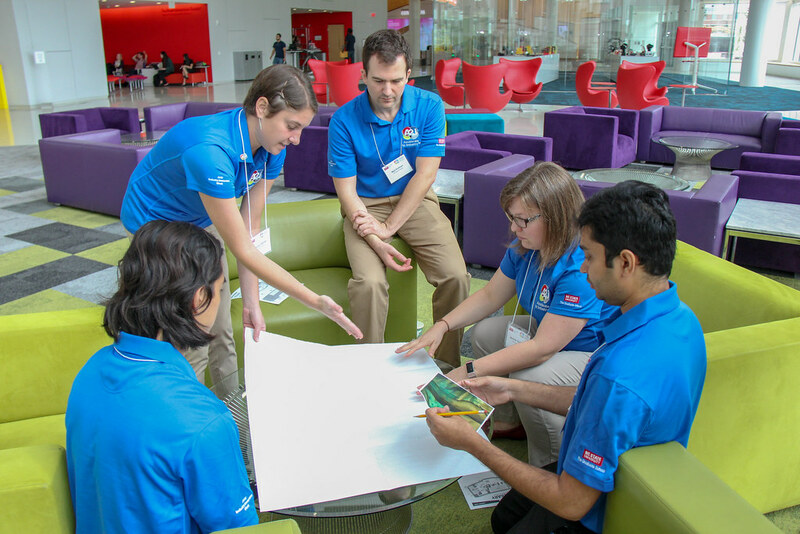 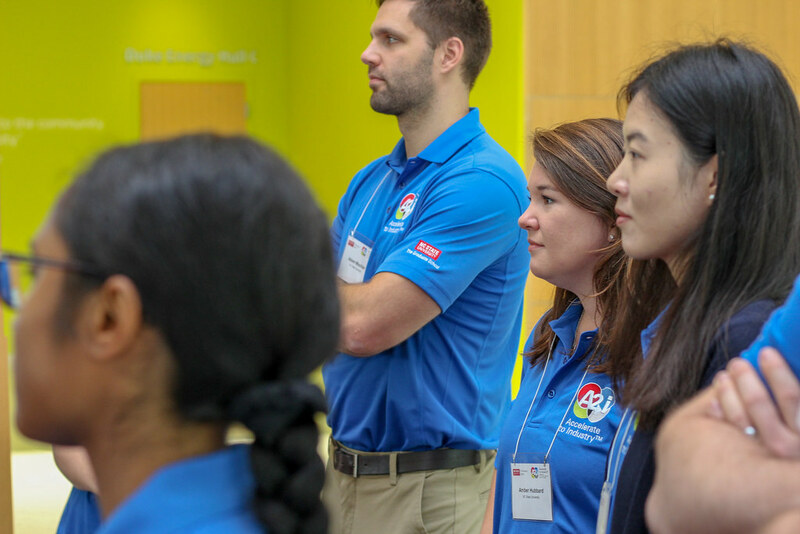 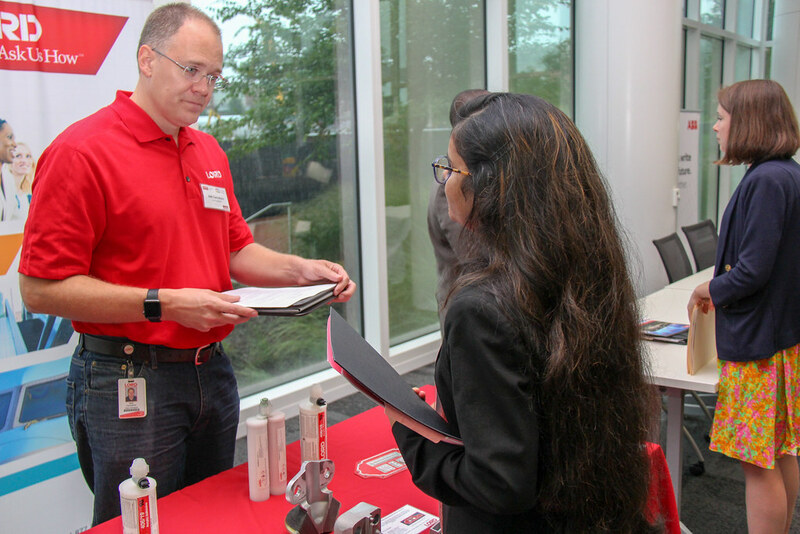 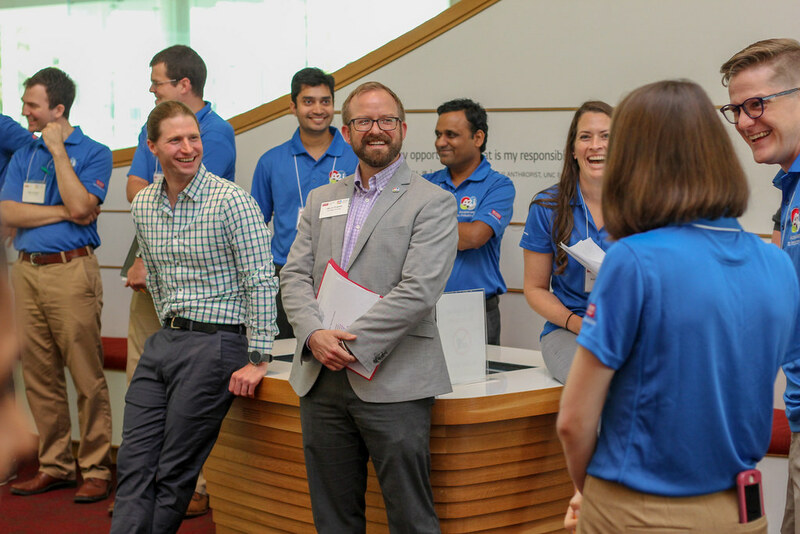 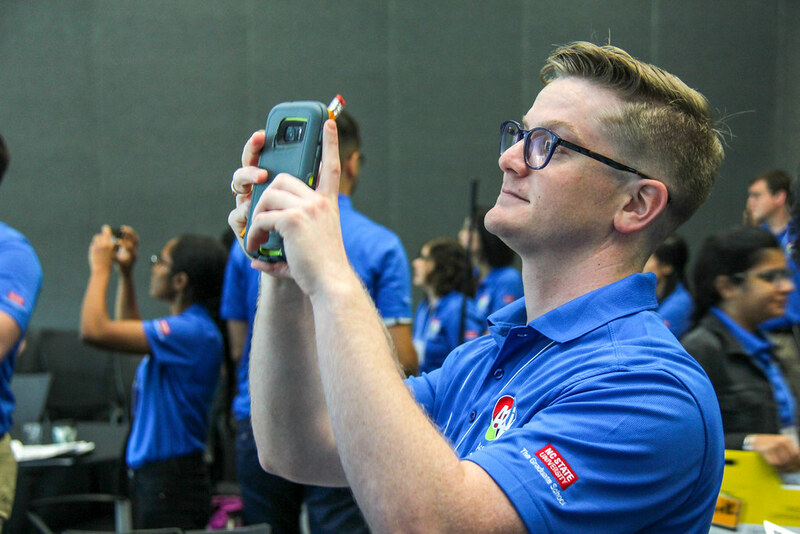 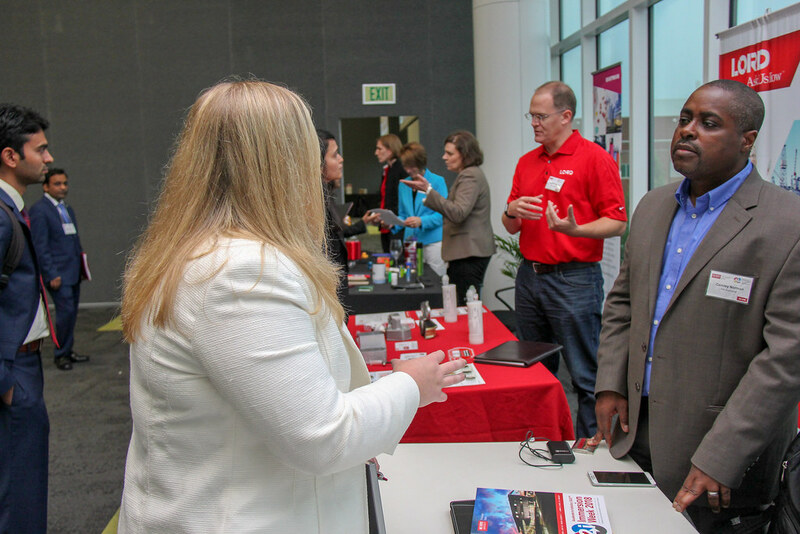 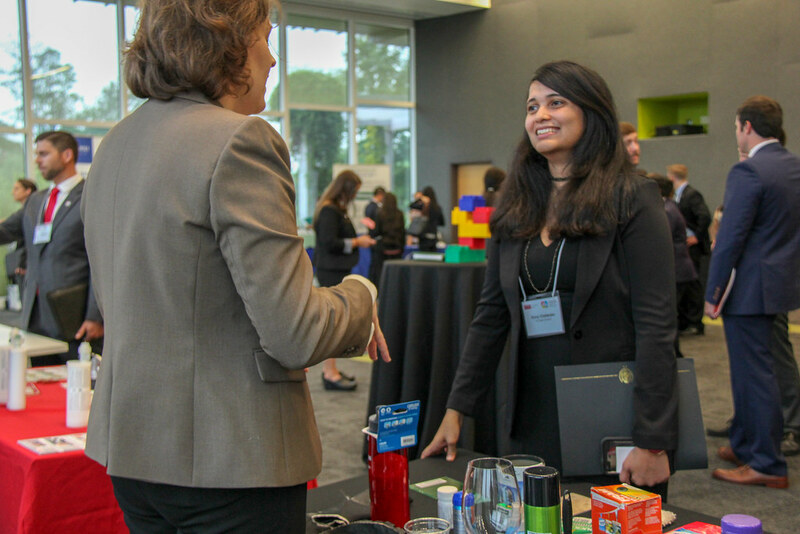 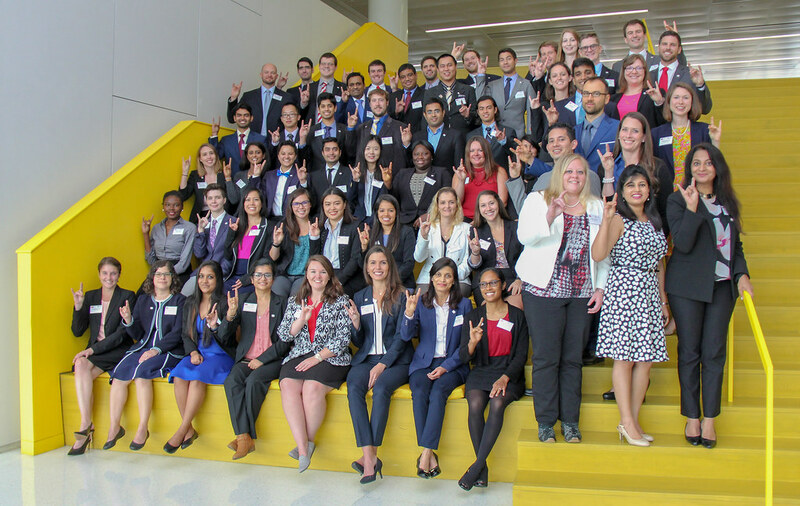 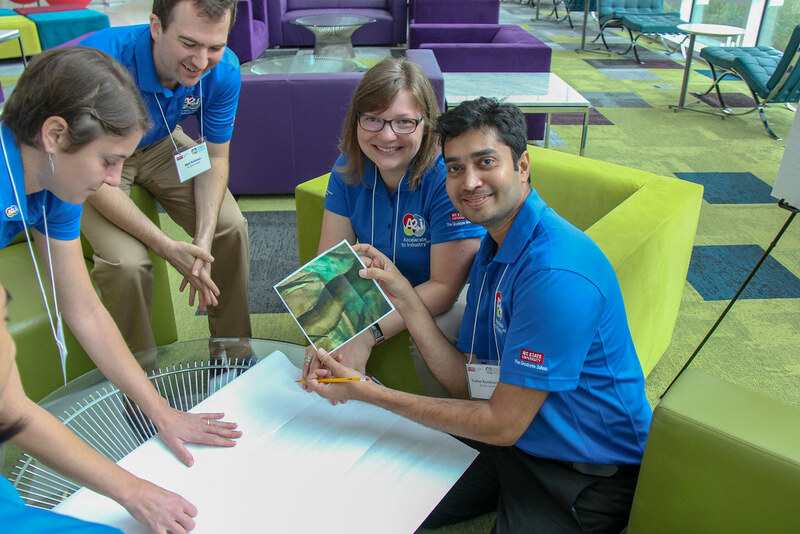 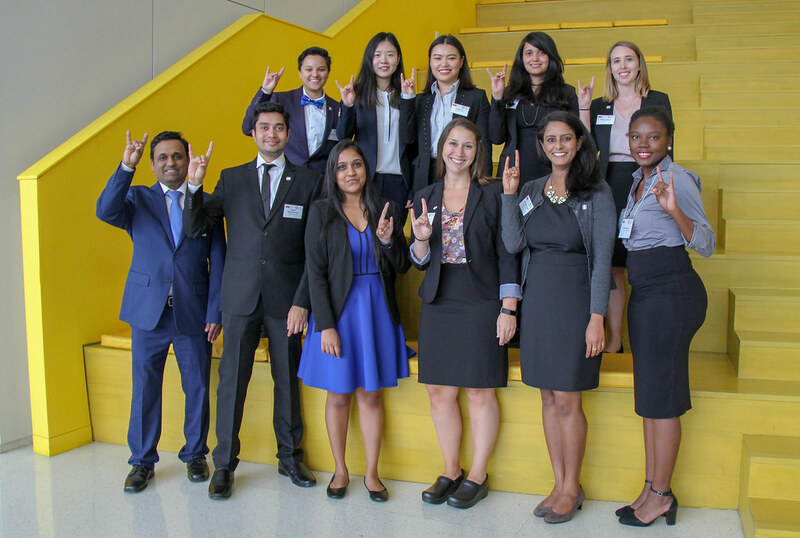 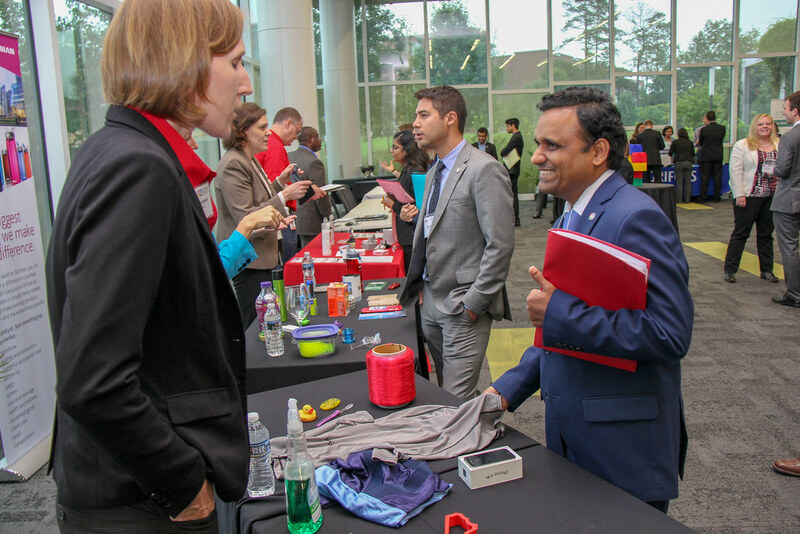 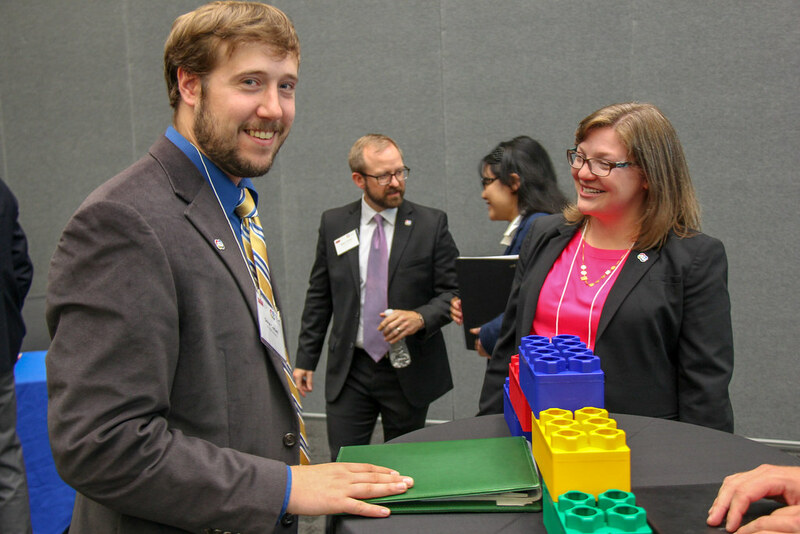 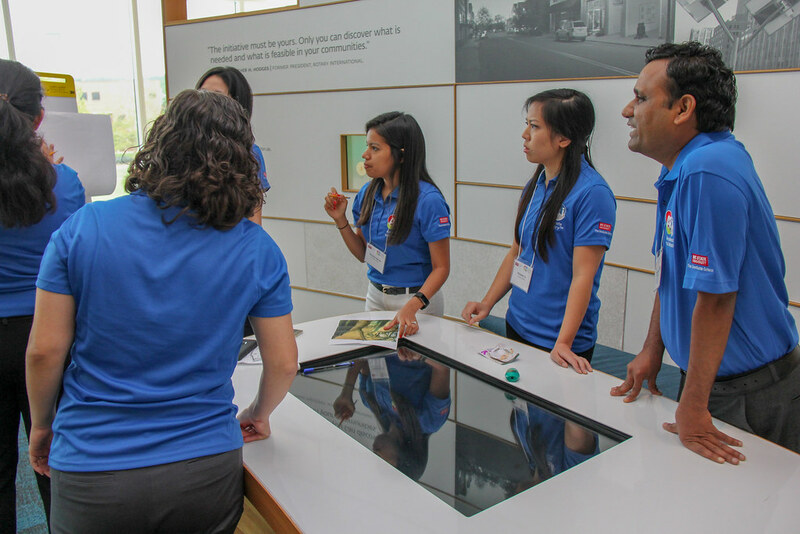 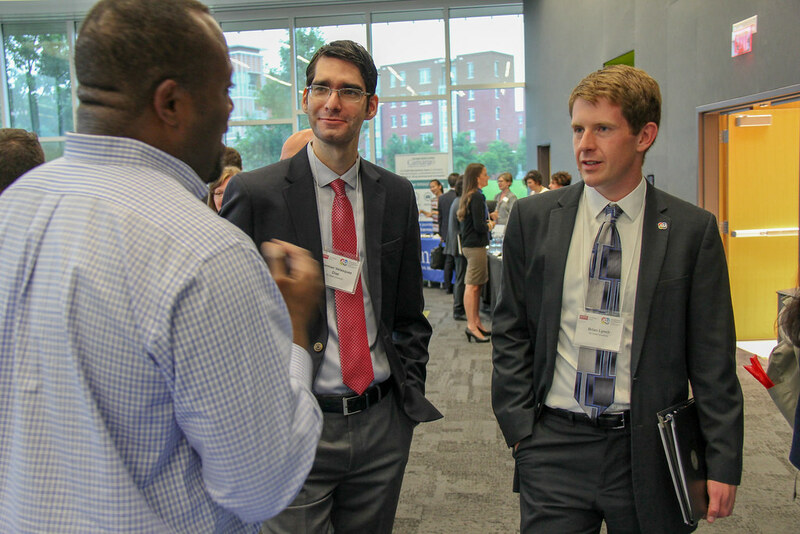 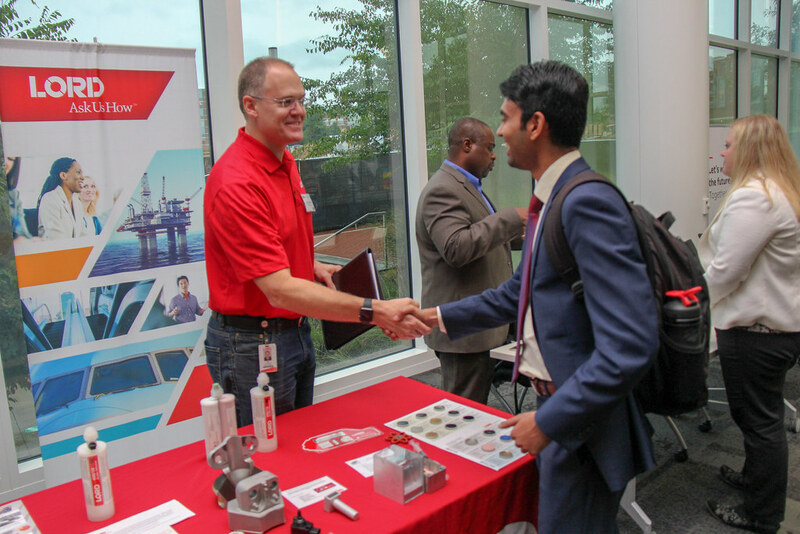 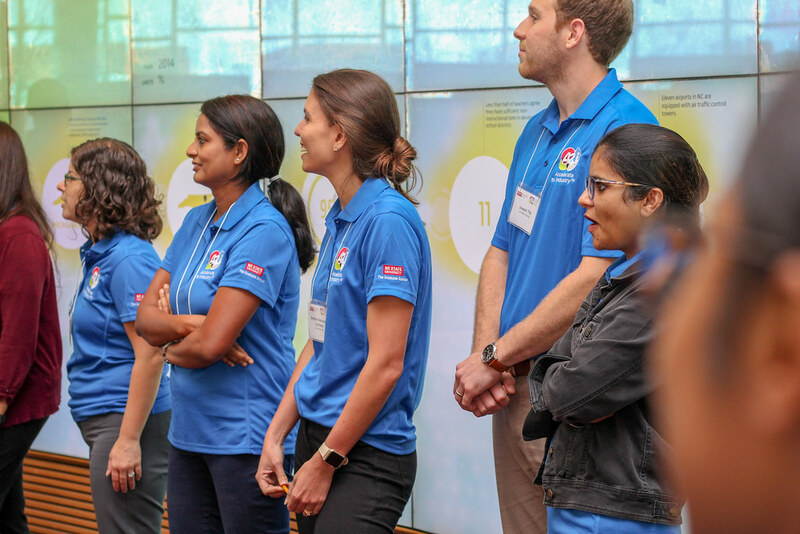 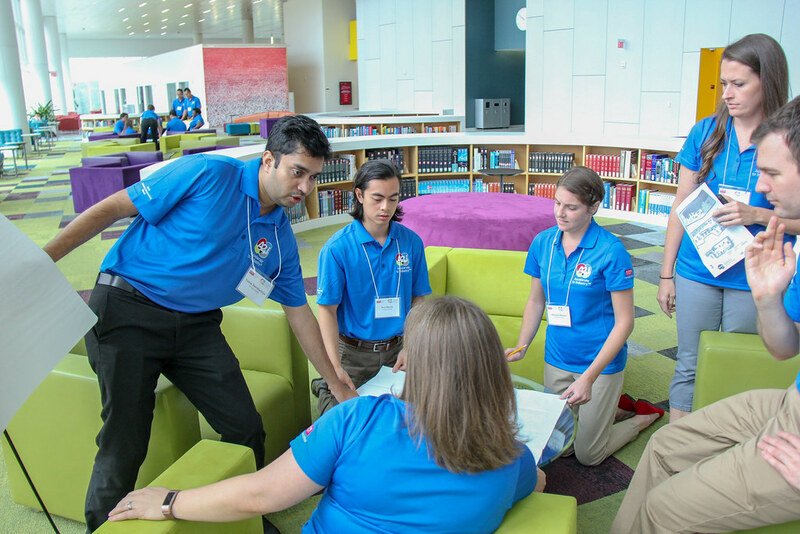 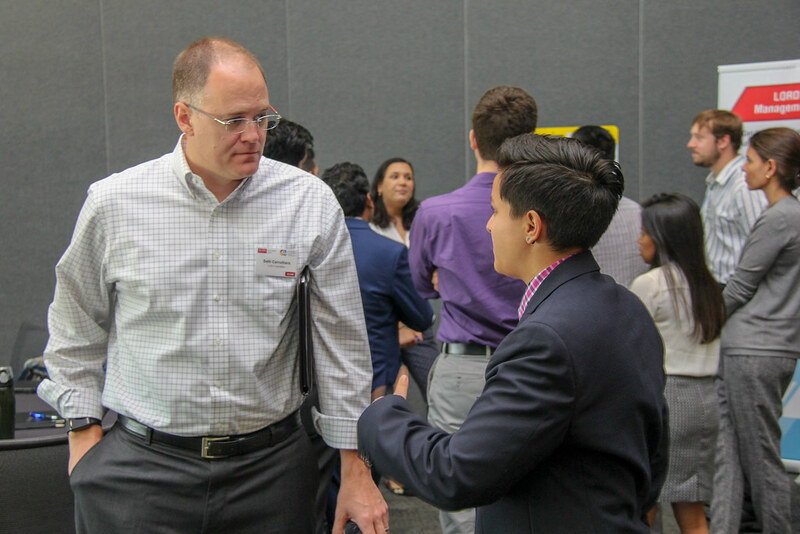 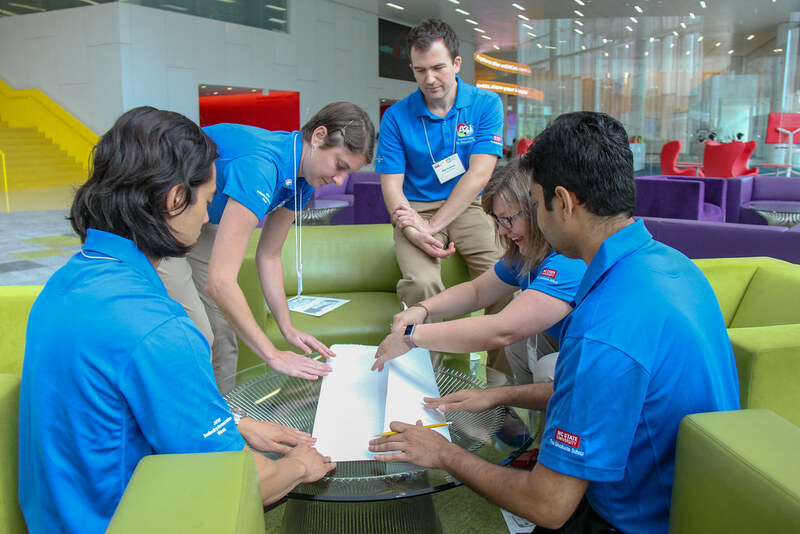 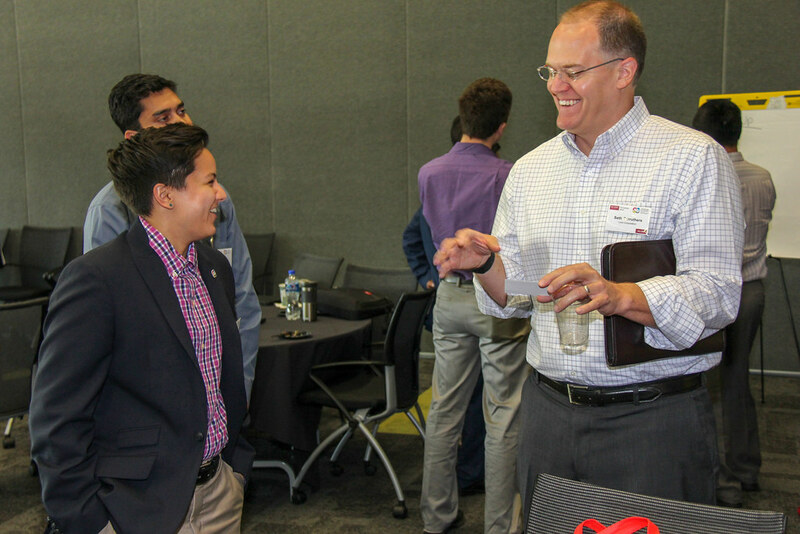 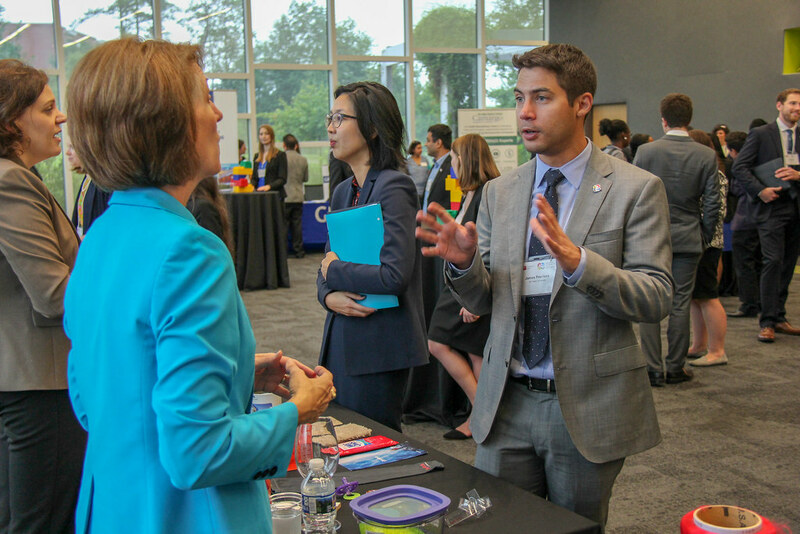 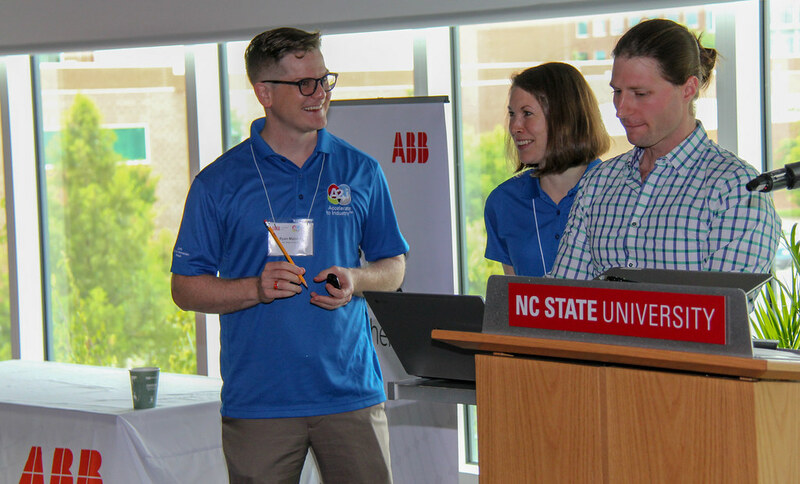 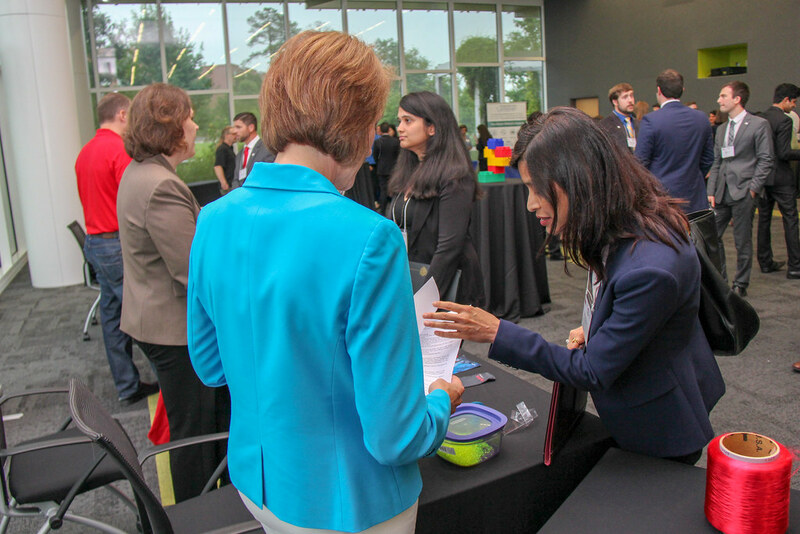 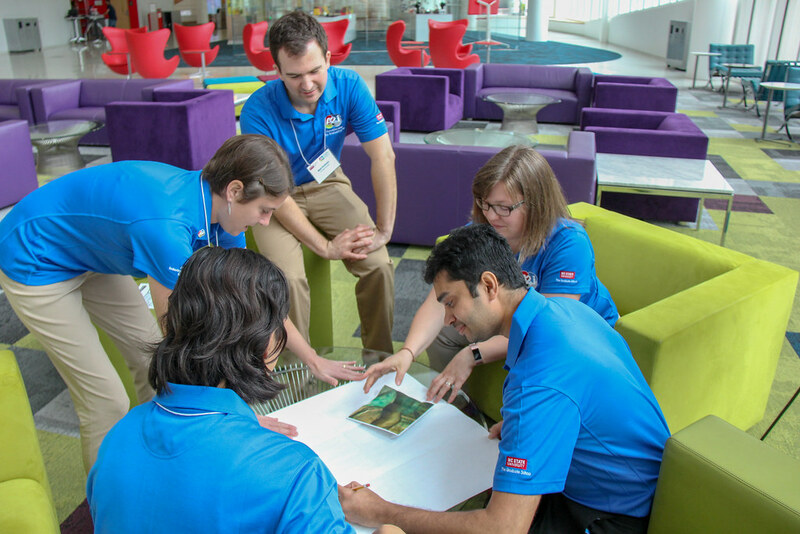 A2i activities open to all NC State graduate students also include site visits, internships, leadership series, and interdisciplinary team projects with companies to develop solutions to real world, industry-specific problems. 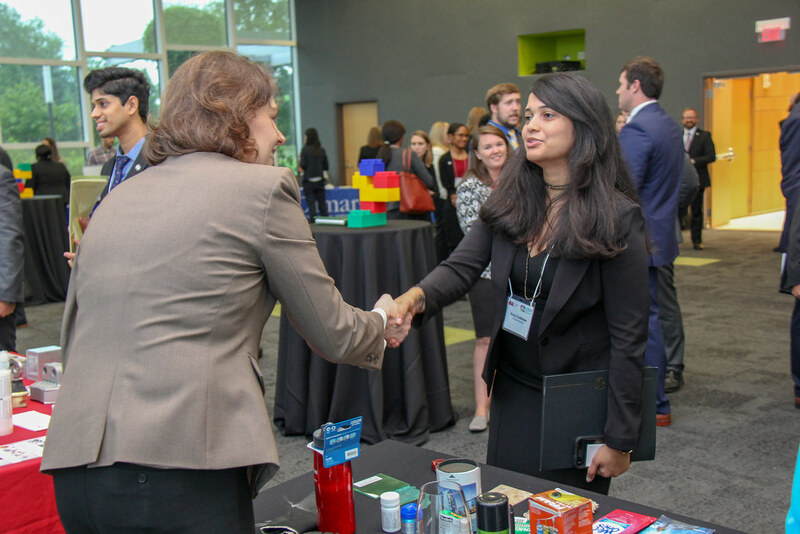 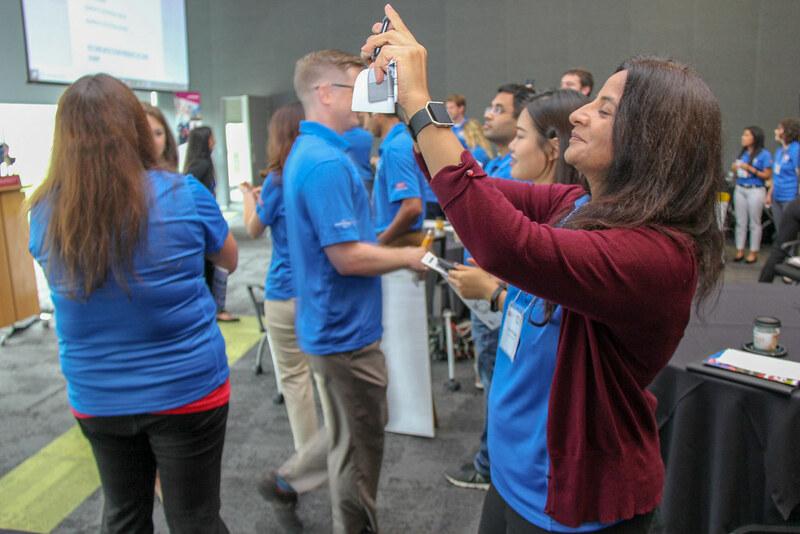 Industry Immersion Week participants will experience a range of opportunities: networking with representatives from a variety of industries; getting feedback on their resumes, LinkedIn pages and elevator pitches; having professional portraits made and learning from entrepreneurs in different fields. 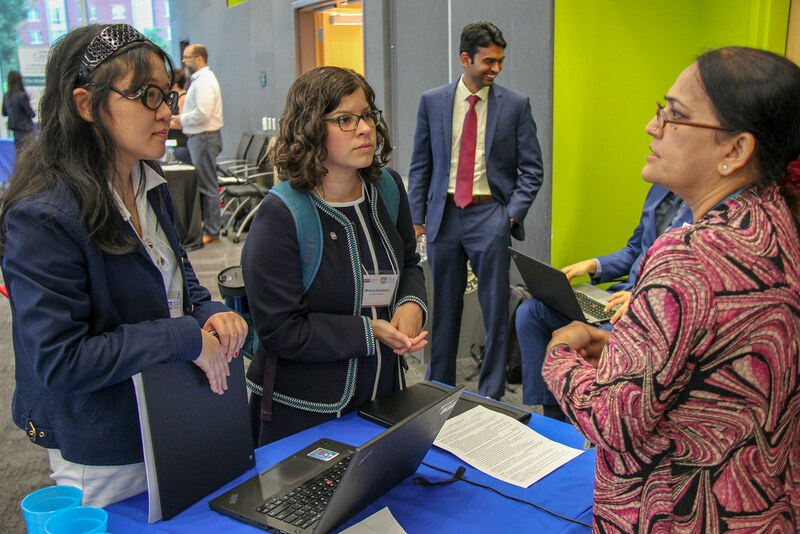 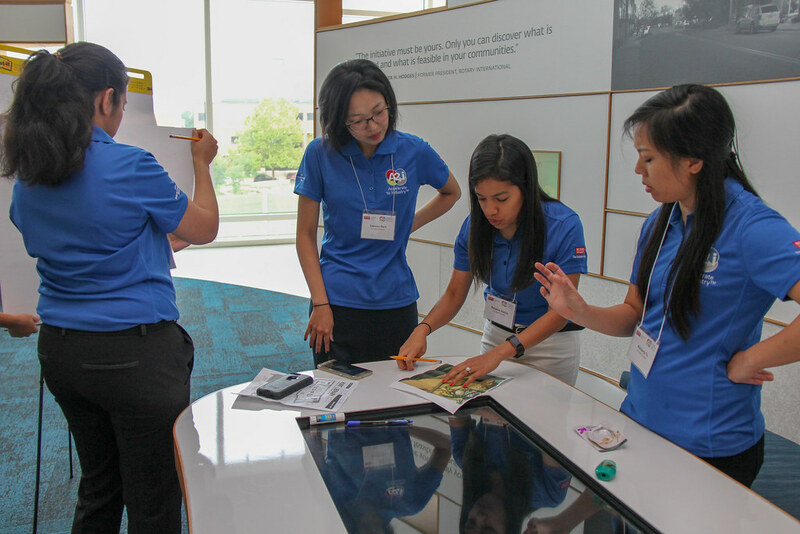 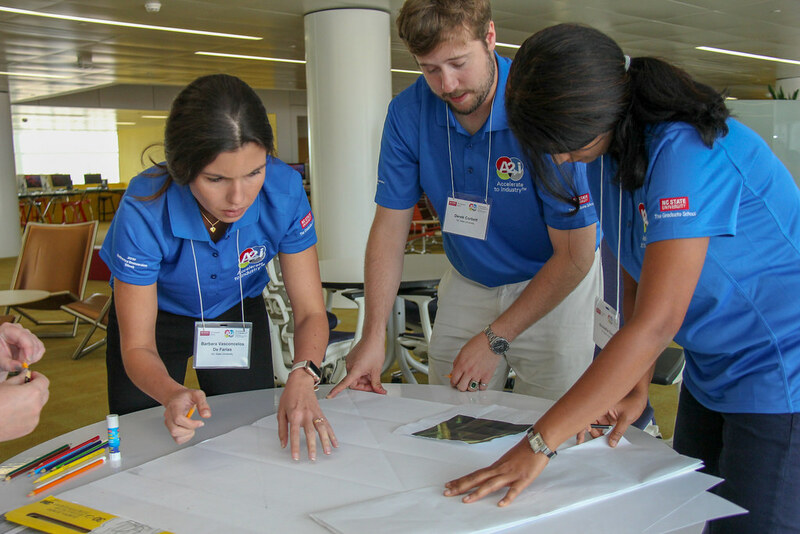 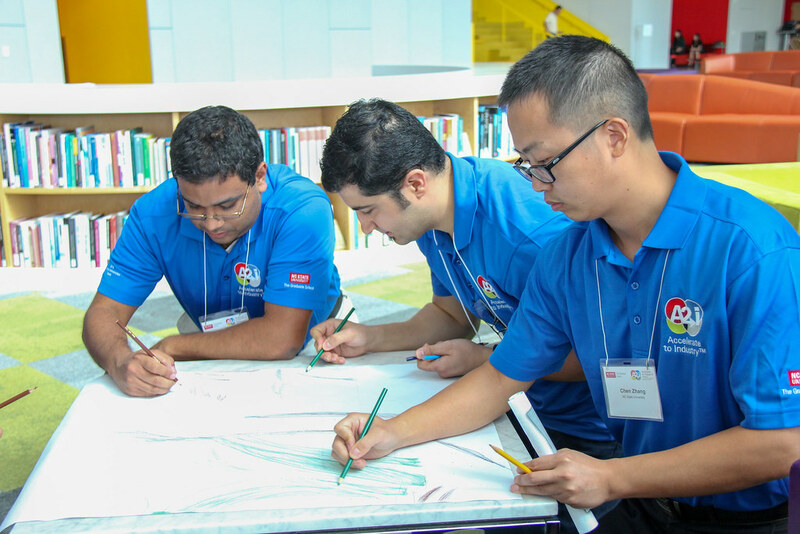 In addition, participants will work on interdisciplinary group projects designed to help them understand how to translate ideas into commercially viable products, services and technologies. 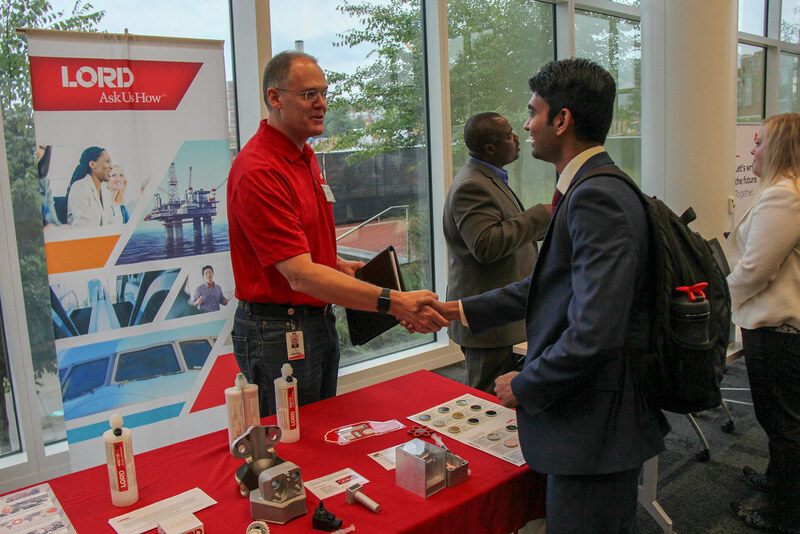 Major sponsors of the week include ABB, LORD Corp. and Eastman Chemical Co. 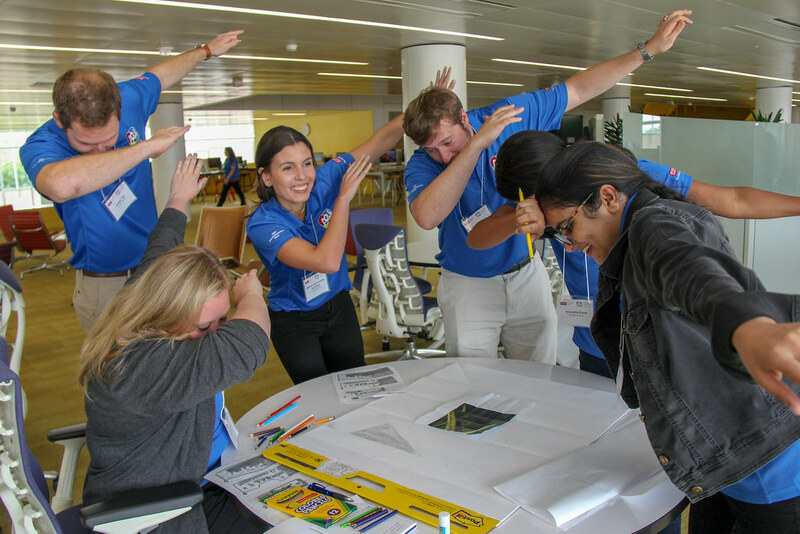 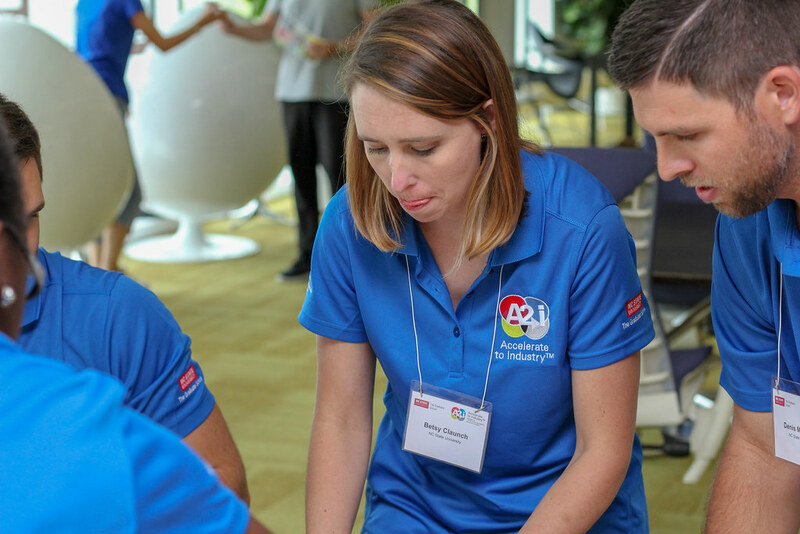 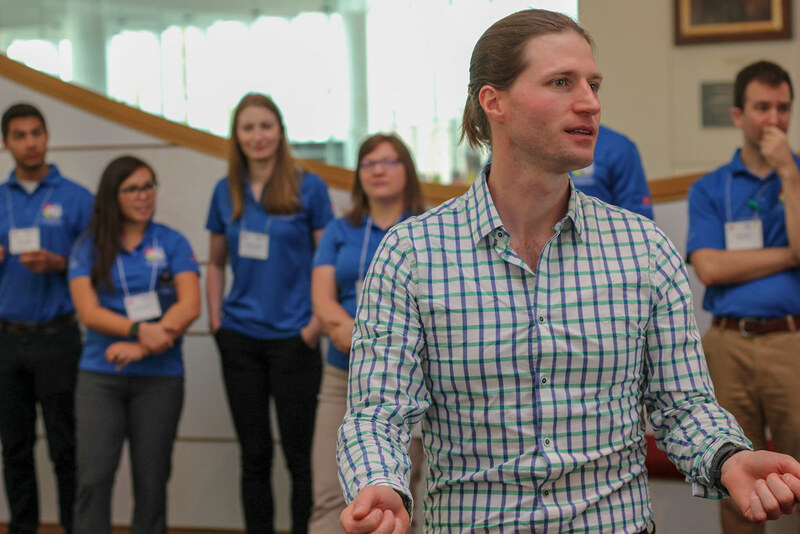 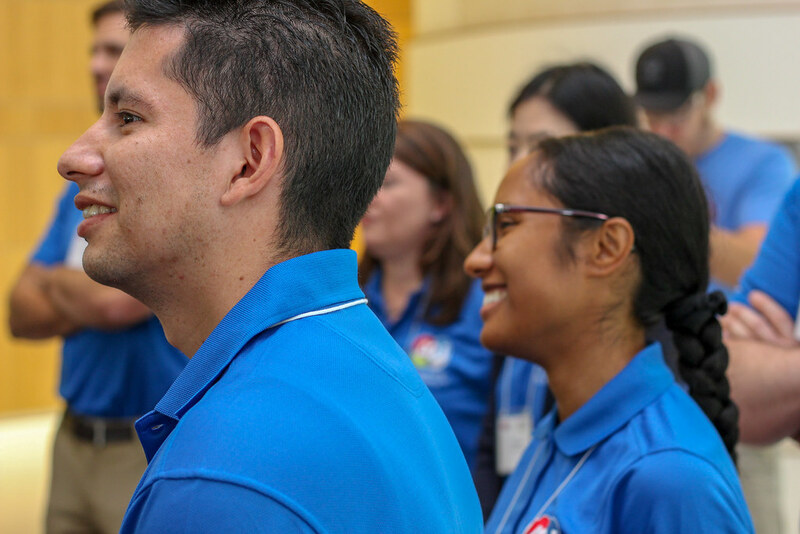 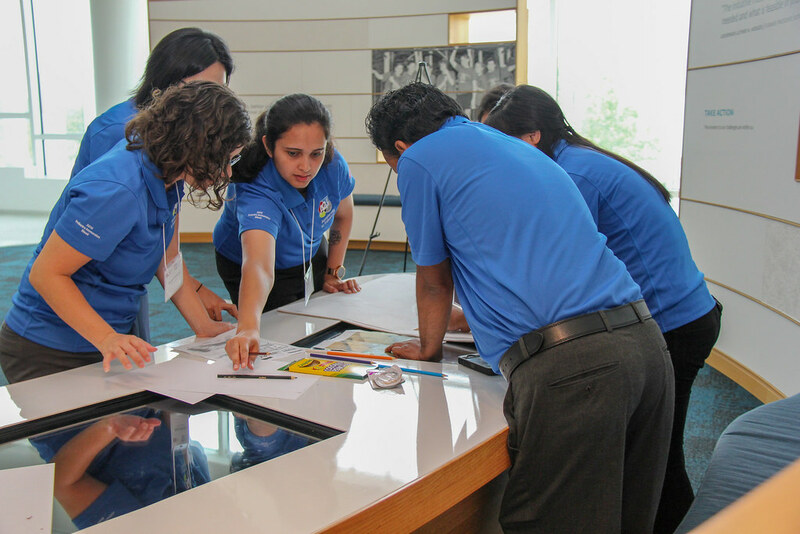 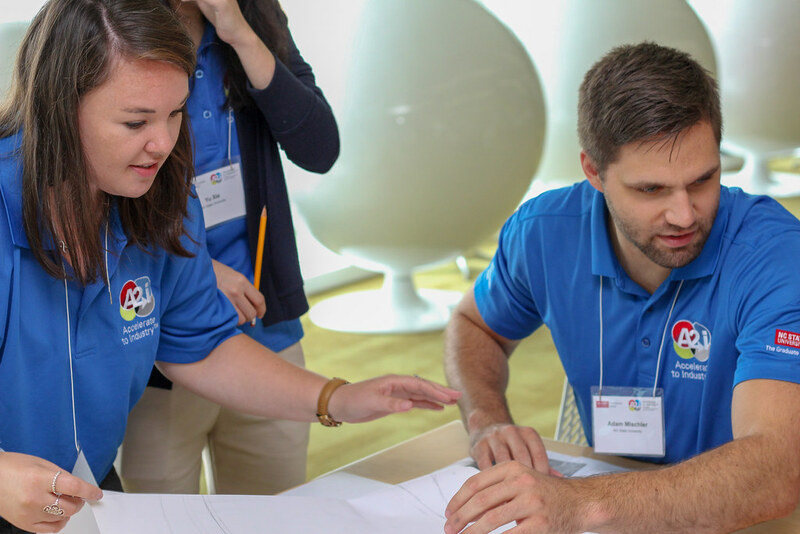 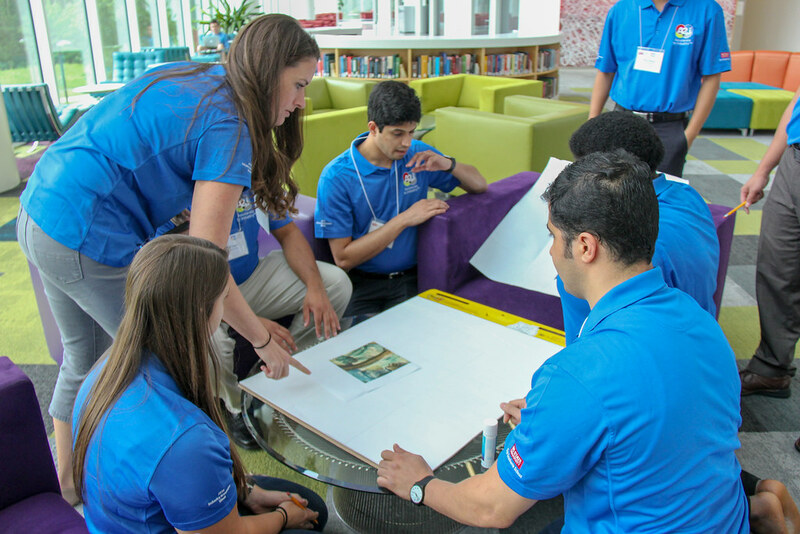 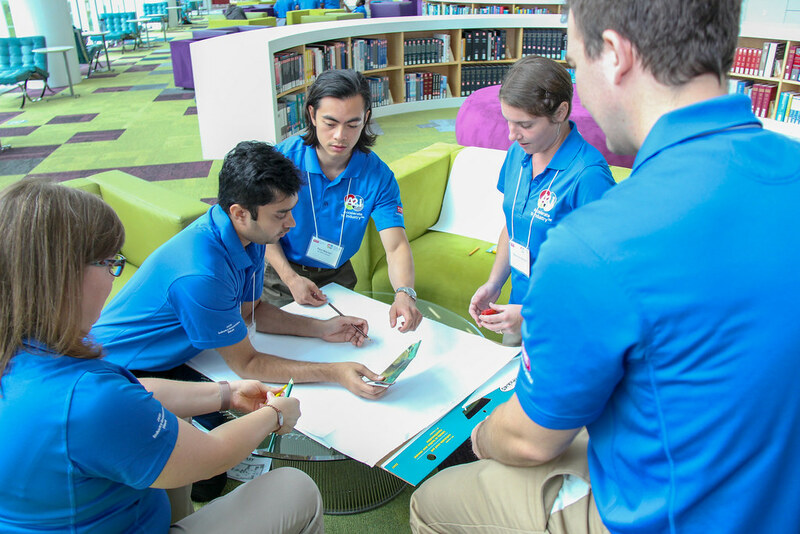 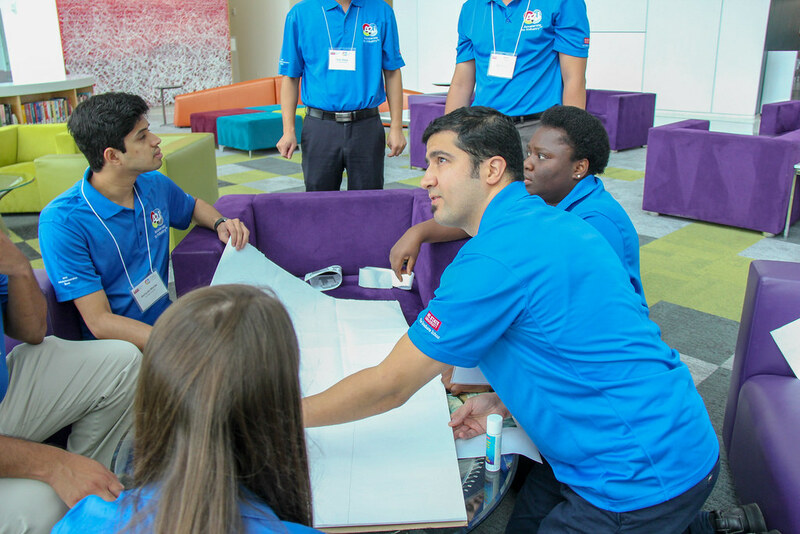 Representatives from each company will participate in activities throughout the week, and each company will host a lunch, where a company keynote speaker will discuss leadership best practices. 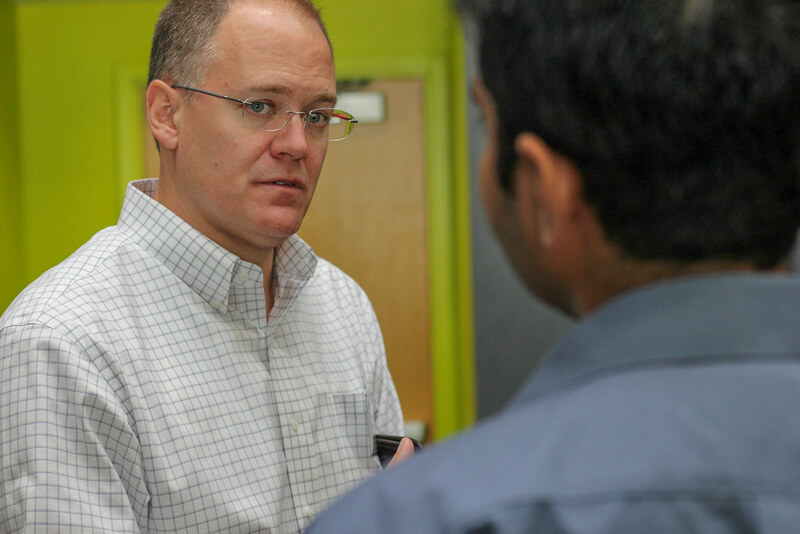 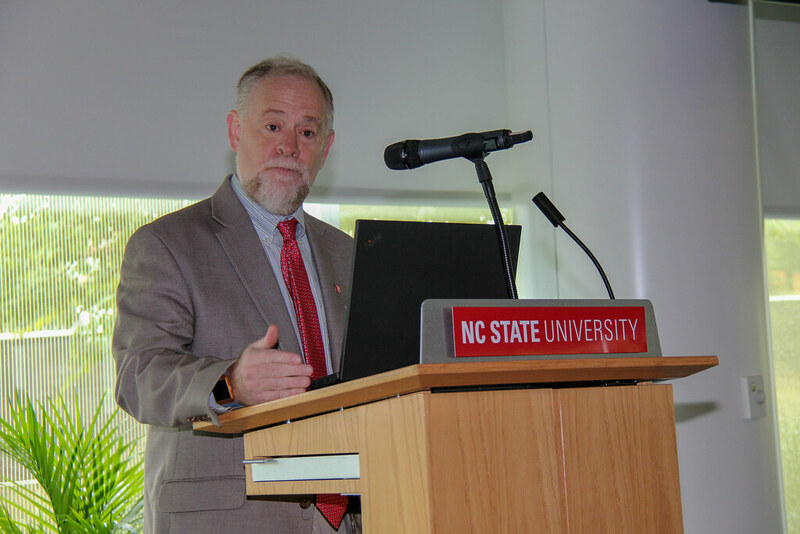 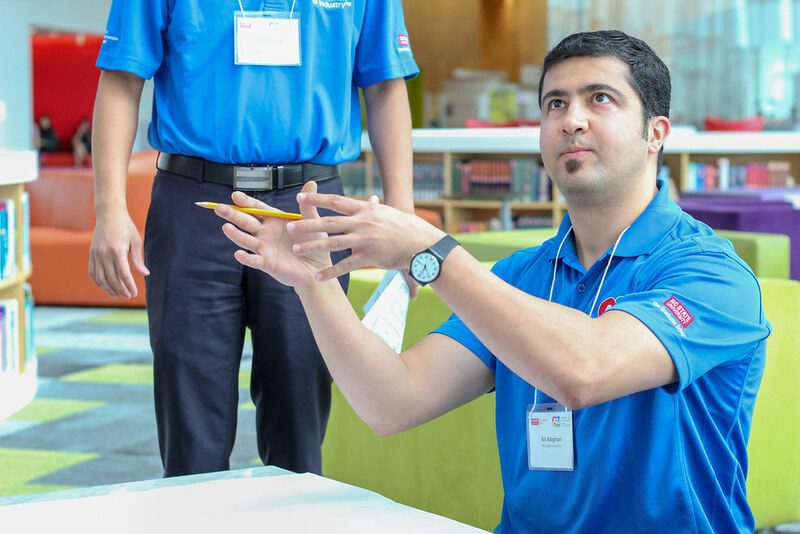 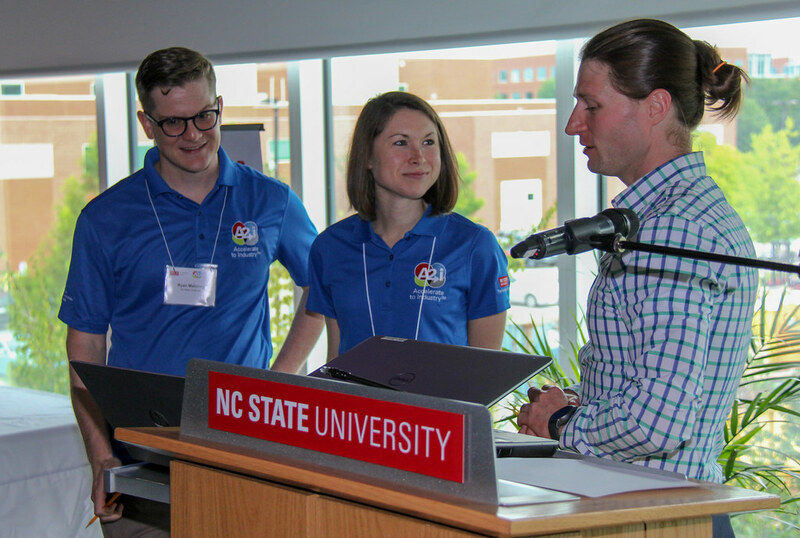 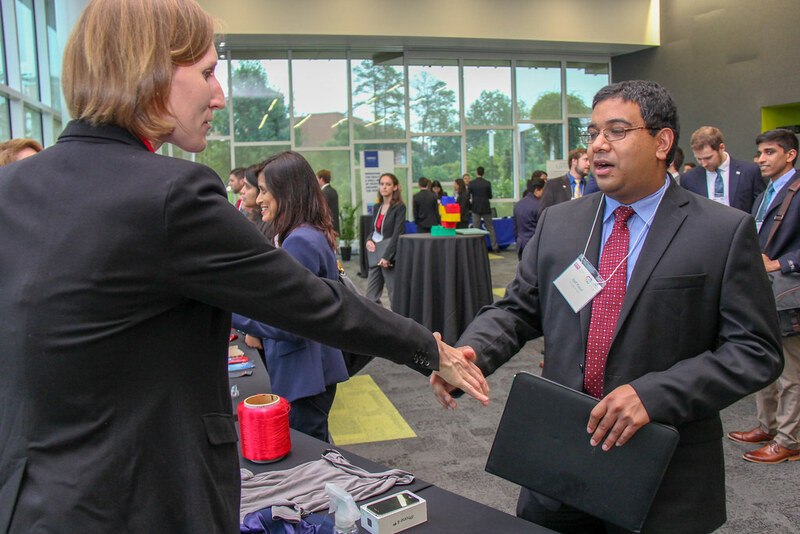 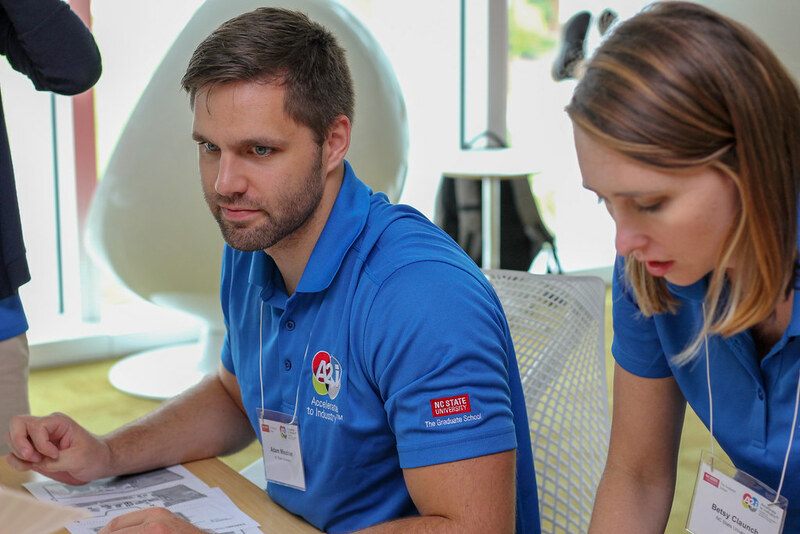 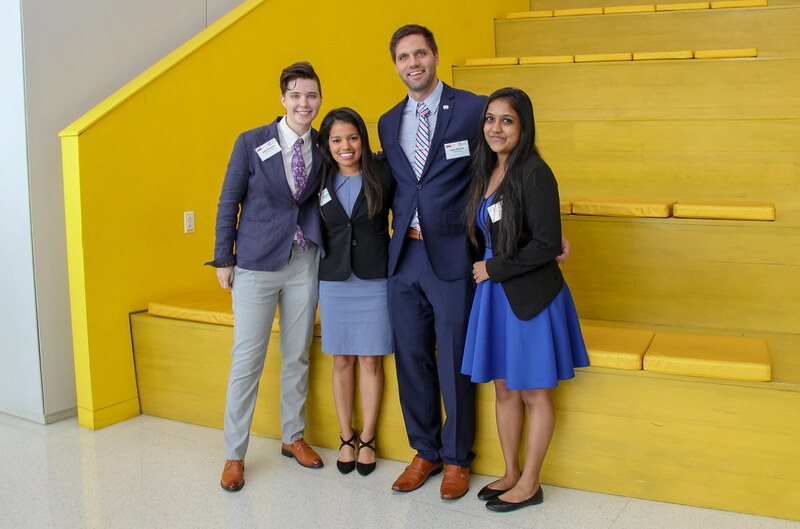 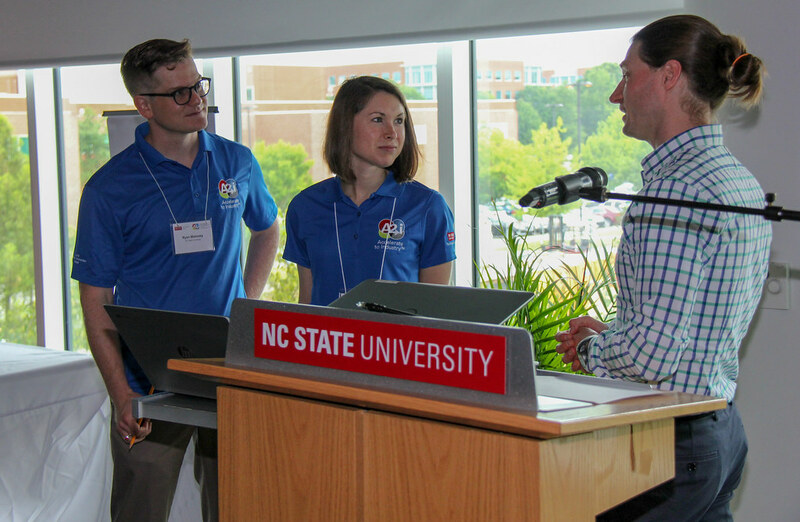 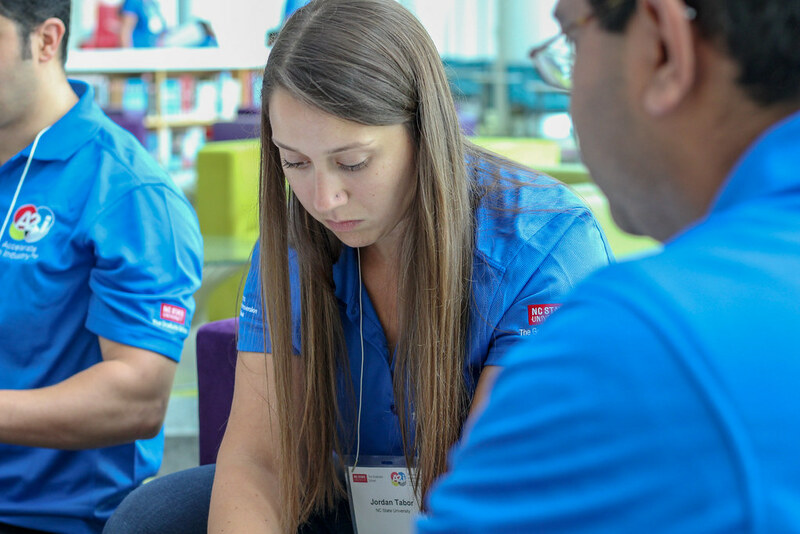 Additional support comes from David Fiala of Google, a 2015 Ph.D. alumnus and former president of the Graduate Student Association, and Sameer Tendulkar, who earned graduate degrees at NC State in 2010 and 2013. 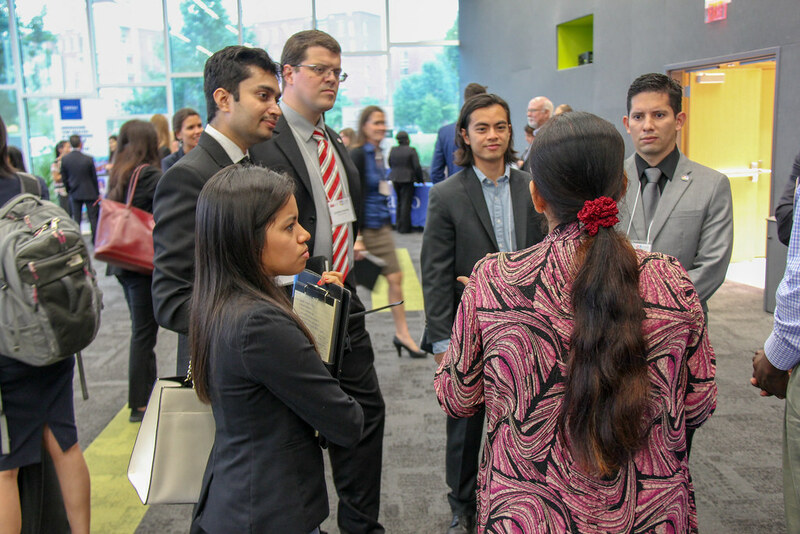 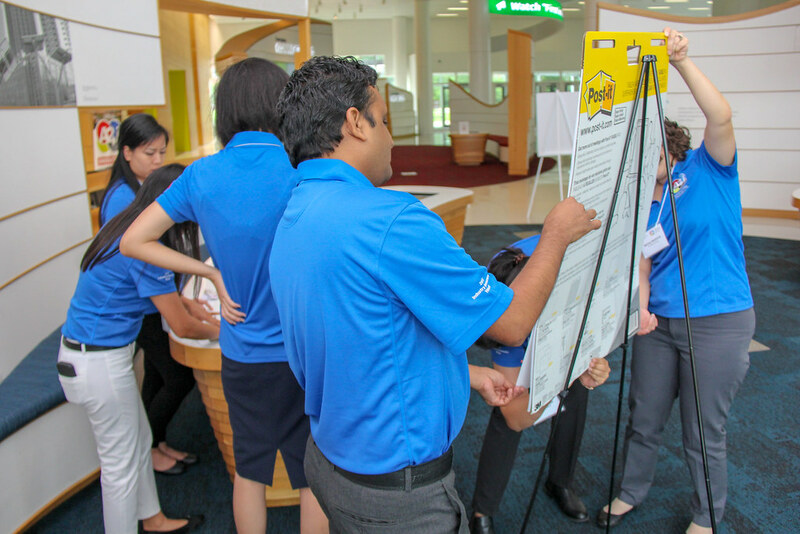 The week closes on Friday with group presentations, along with an industry fair and reception. 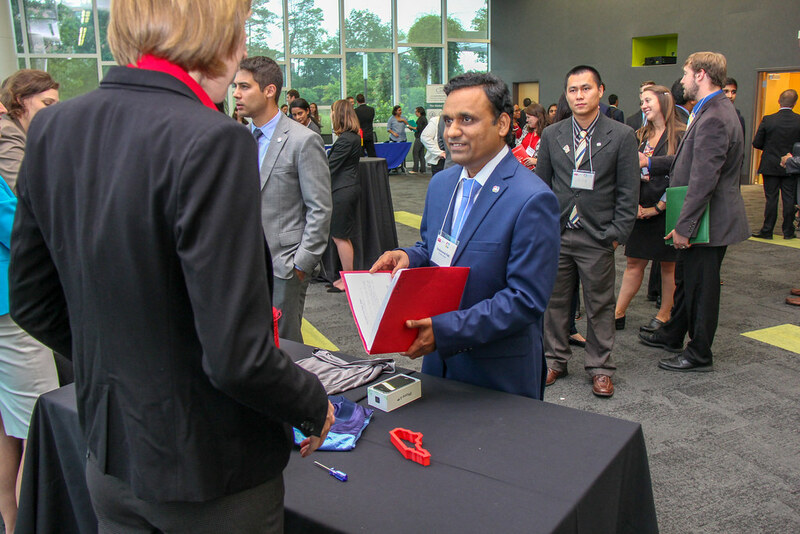 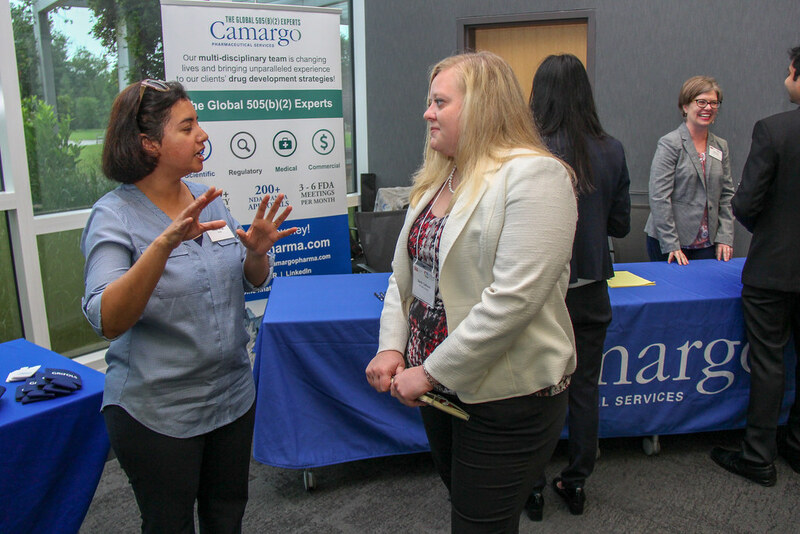 In addition to the major sponsors, other companies supporting the reception include Precision Biosciences, Camargo Pharmaceutical Services,KBI Biopharma, Grifols and Pfizer. 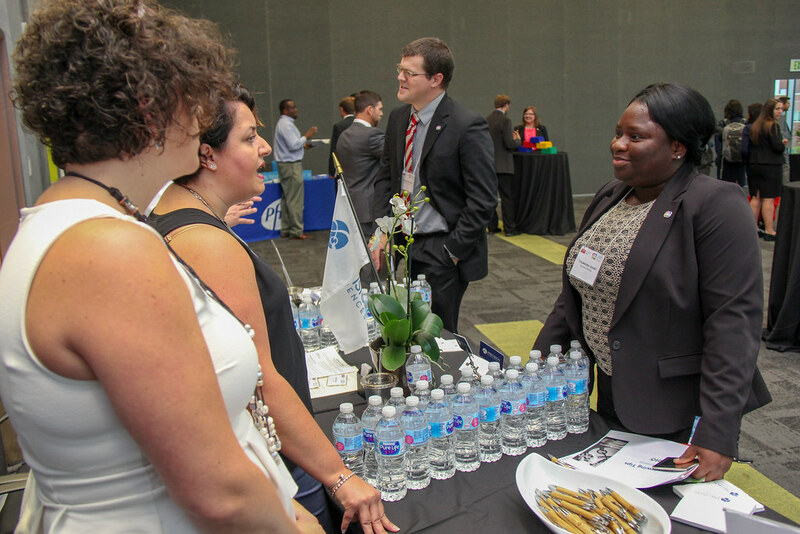 • Paula Brown, vice president, Global Hosting and US Professional Services, SAS. 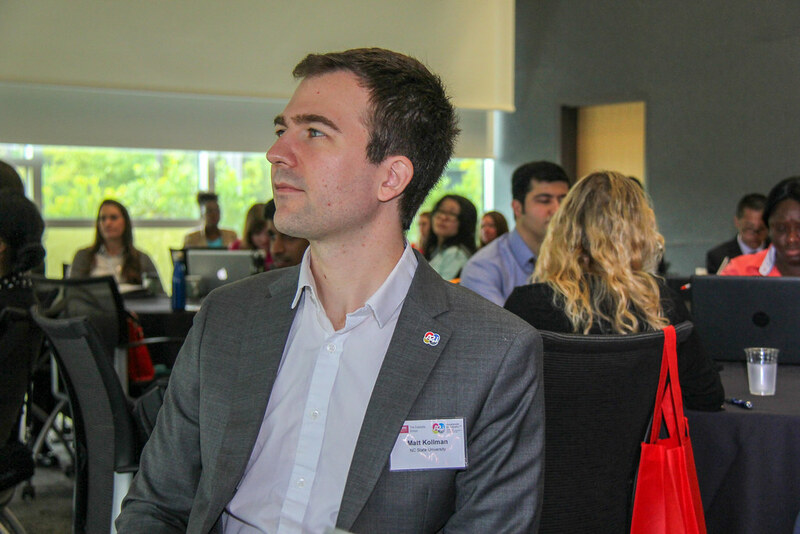 • David Fiala, security and privacy engineering lead, Google Brain Health Research, Google Inc.
• Seth Carruthers, global technology director, LORD Corp. 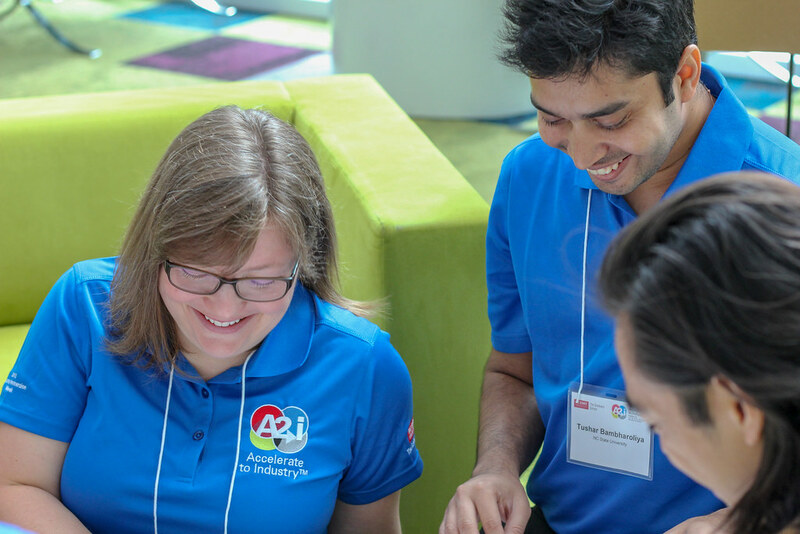 Learn more about A2i offerings and fill out an interest form.